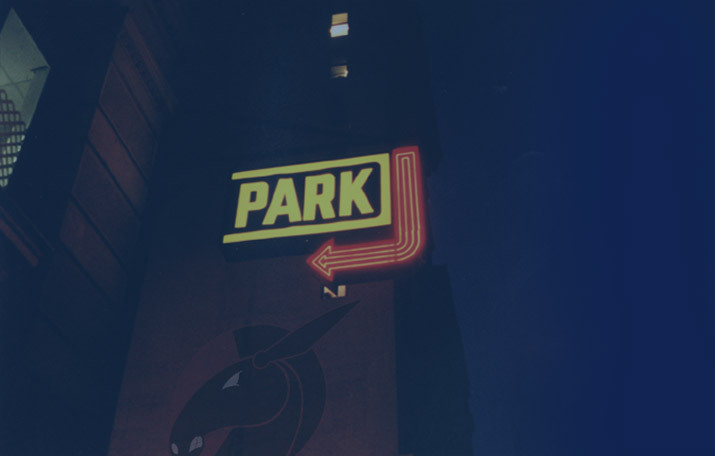 Mule Train is an award-winning, digital design and development company based in Brooklyn, New York, serving clients of all sizes in diverse fields. 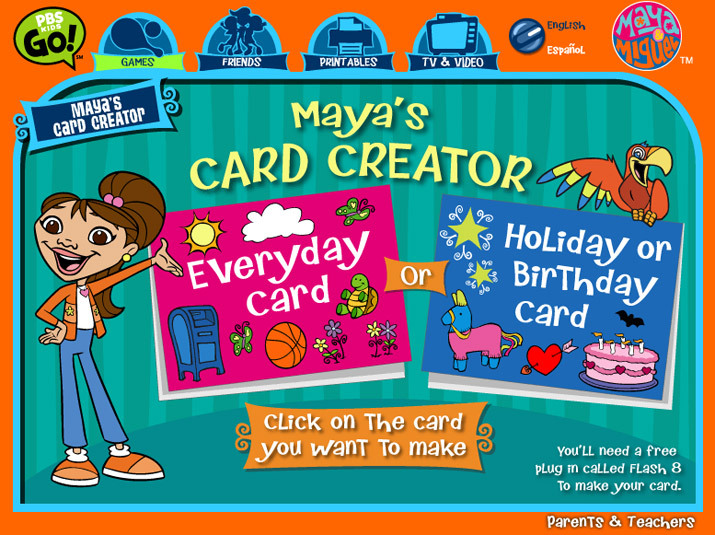 Our work encompasses, front end development, site design, interface design, icon design, logo design, storefront design, motion graphics, ecommerce integration, games and activities, CMS integration, illustration, banner ads and more. 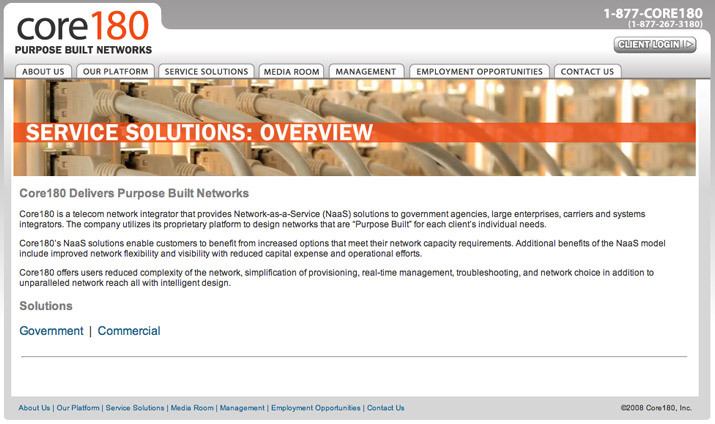 We build effective internet content across all access points. 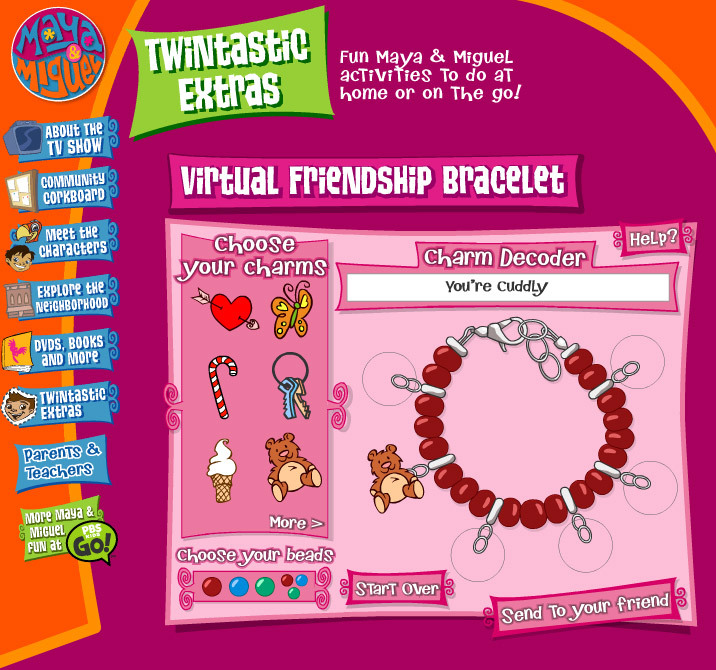 We also build lasting relationships with our clients. 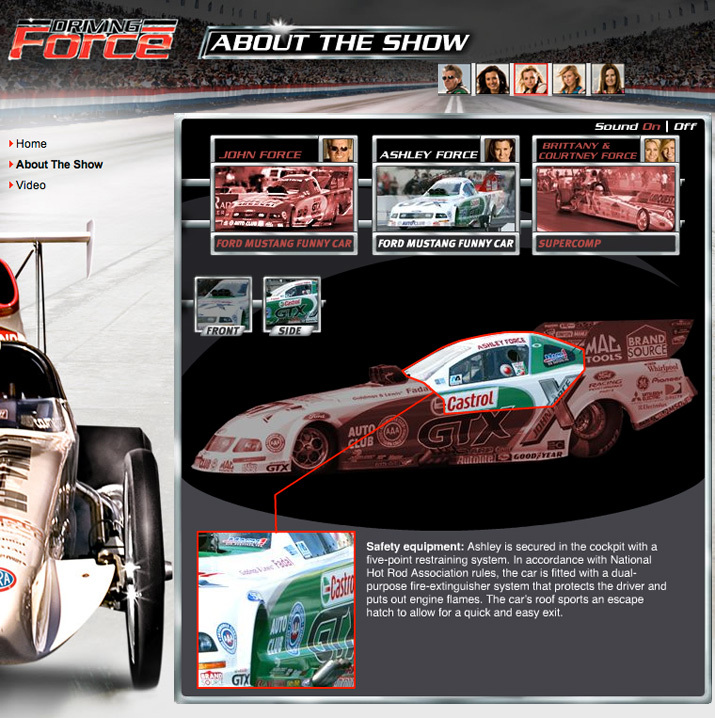 Glenn Westrom is responsible for the design and project management at Mule Train. 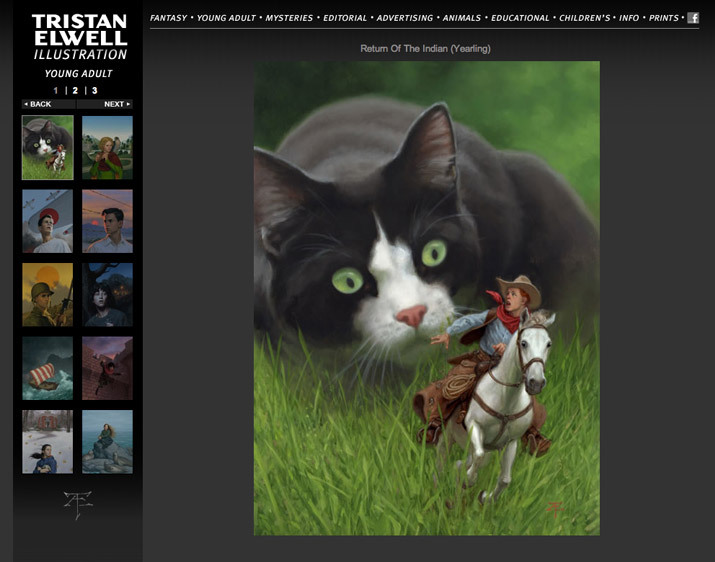 He graduated from the School Visual Arts in New York City where he received a BFA in Illustration and continued his education in the ground breaking new media program at Sheridan College, Ontario. 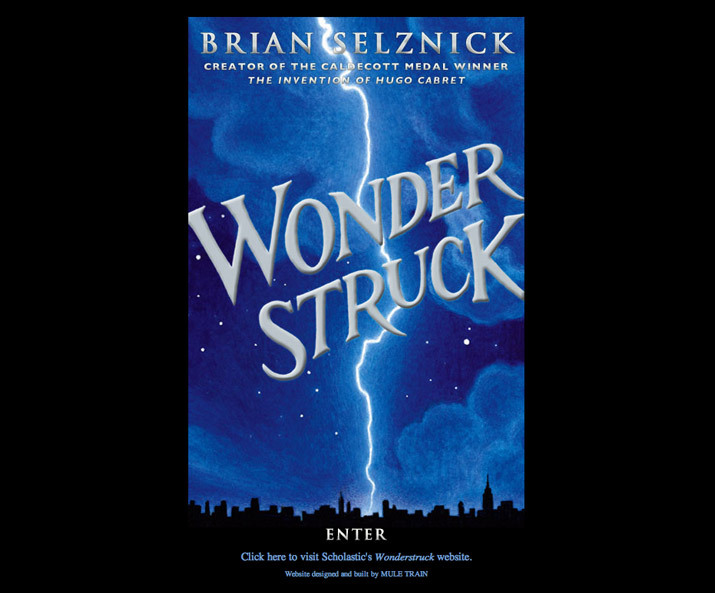 By 1996 Glenn had accumulated significant experience in the advertising and publishing fields doing print design and production. 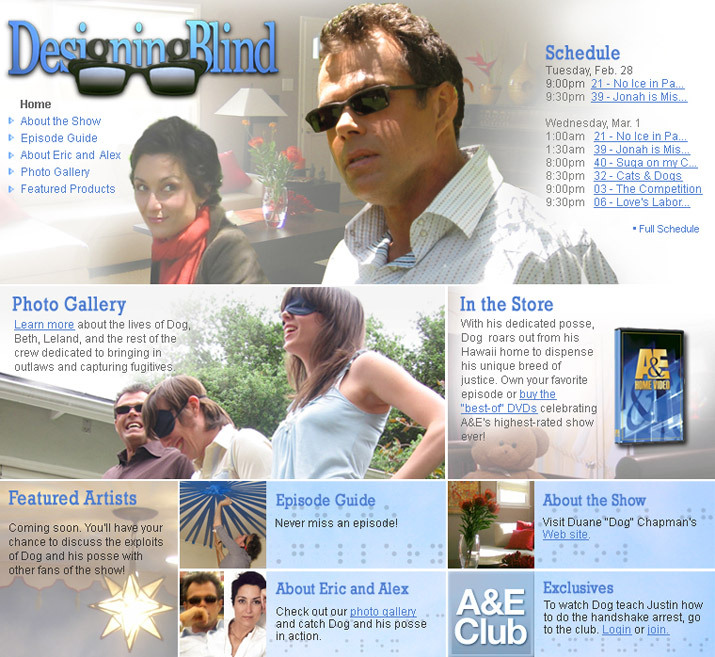 Intrigued by the possibilities of the Web, Glenn took the leap into a new area and established Mule Train Studios, a design studio, specializing in Web design. 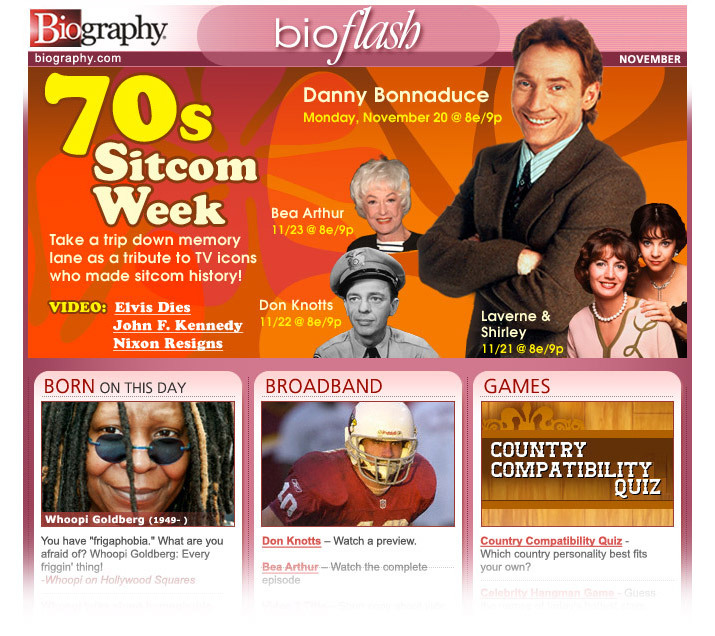 His wide ranging interests and general enthusiasm for neat stuff has enabled him to continue to meet the needs of a broad range of clients including Scholastic Inc., PBS, AETV, Biography, HIT Entertainment, and more. 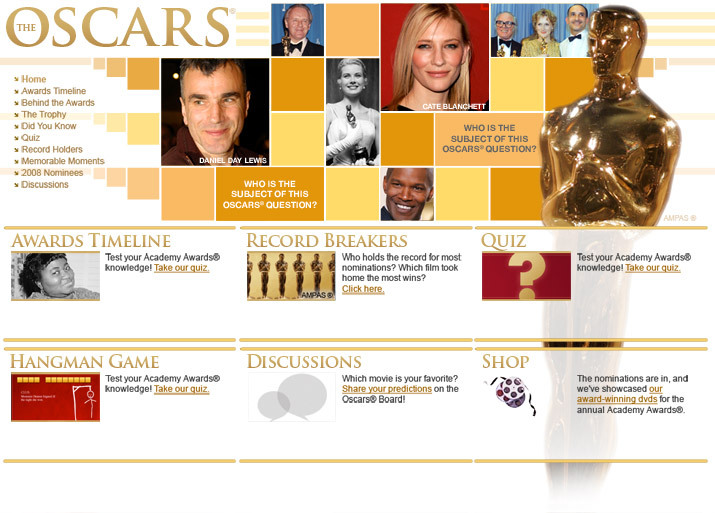 Schuyler Bush began his career as a professional Web developer in 1997 at the New York based firm RSVPnet. 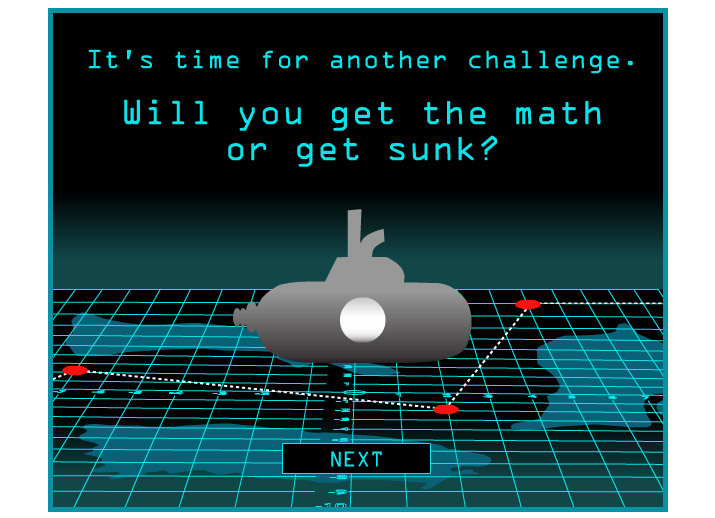 He then moved on the Martino Flynn Agency as their Senior Interactive Developer until long-time friend Glenn Westrom invited to him to work with Mule Train Inc. in the summer of 2001. 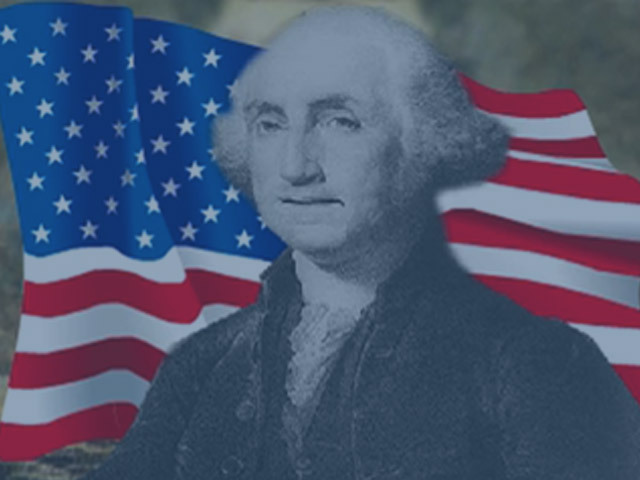 Despite all his experience, every day brings him new surprises, different technologies to master, and fresh challenges to meet. 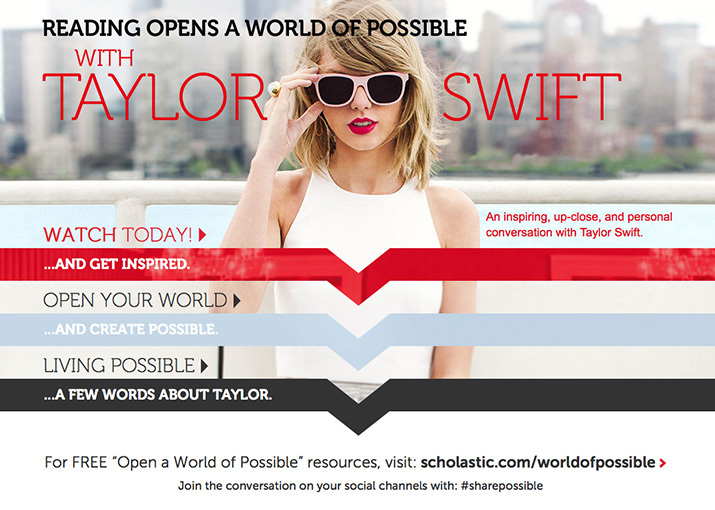 Scholastic Inc. is the world’s largest publisher and distributor of children’s books. 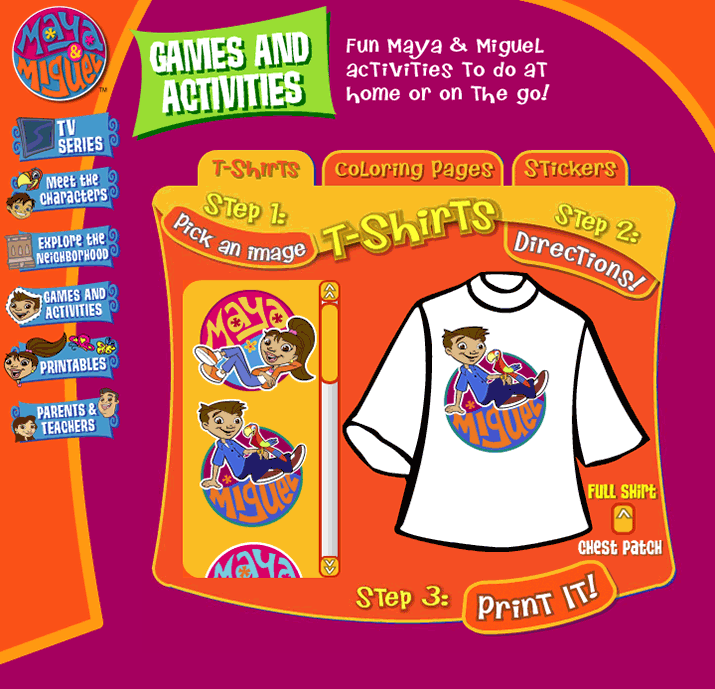 Since 1998 we've been providing a wide array of services to support Scholastic Inc.’s endeavors on the web. 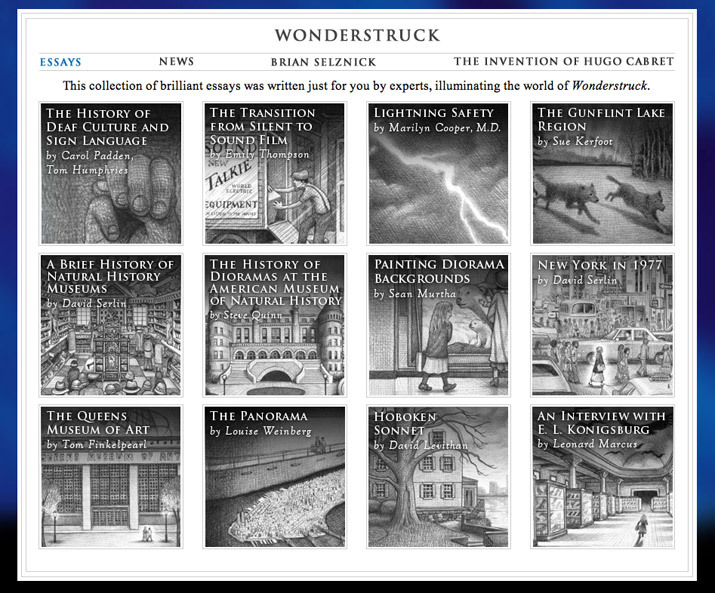 We’ve built micro sites to promote literally hundreds of trade books including the first three Harry Potter novels. 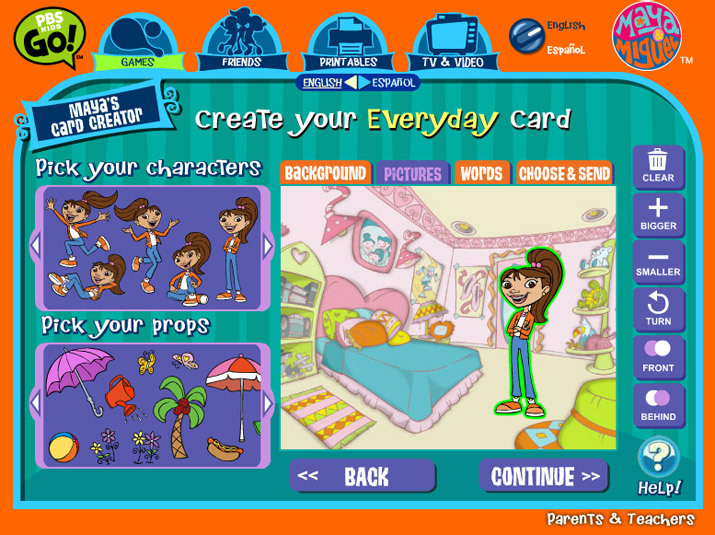 We’ve created or contributed to sites for properties like Dear America, Animorphs, Clifford the Big Red Dog, Goosebumps, I Spy, The Magic School Bus, The Golden Compass and Word Girl. 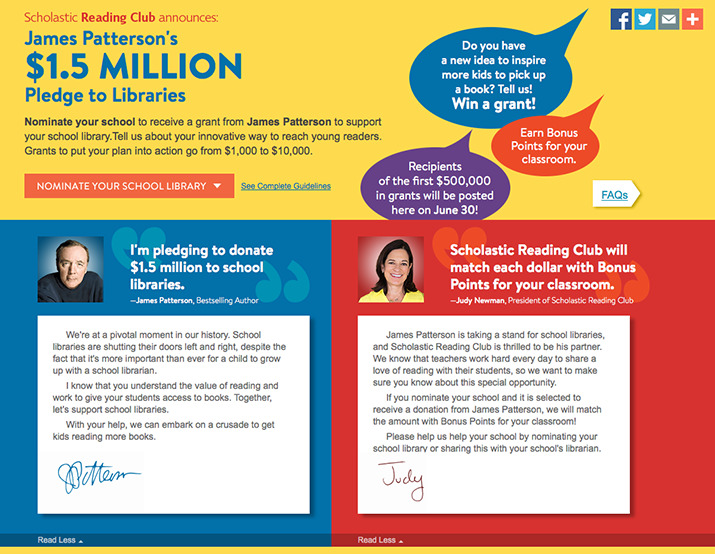 We brought Scholastic Book Clubs online in 1998 and have provided design and development through all of its subsequent iterations and its current form as Scholastic Reading Club. 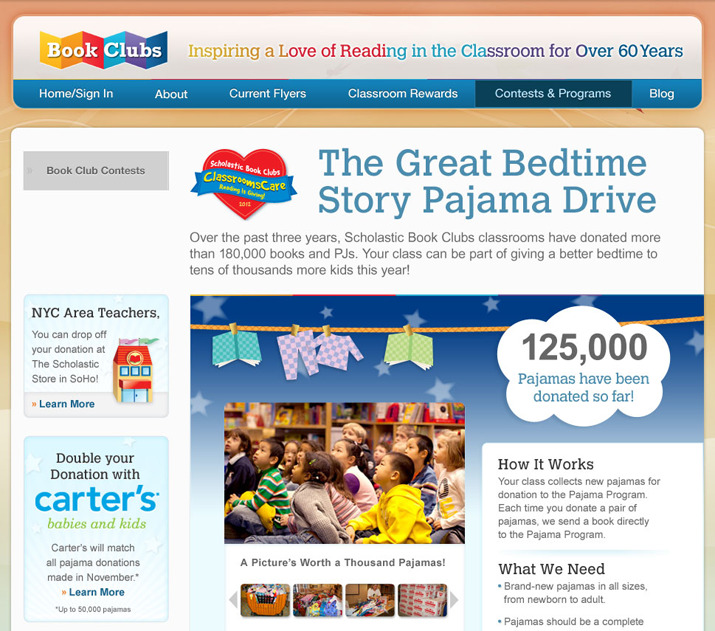 We also created a custom WordPress theme for the Scholastic Reading Club blog, Bookbox Daily, which receives over 8 million page views a month. 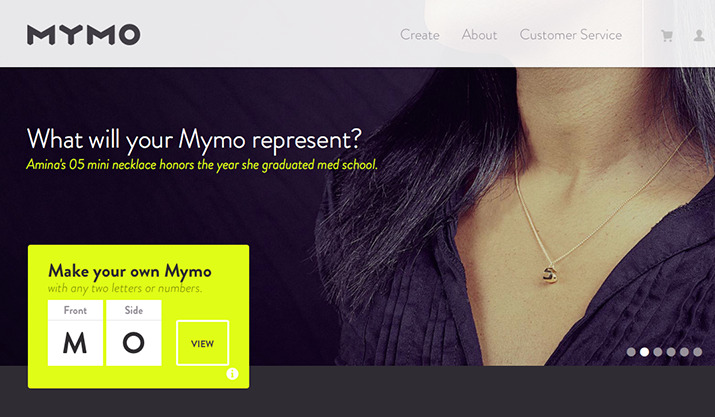 MYMO is a project from Ultravirgo, a graphic design and branding agency. They created a typeface to combine letters into a unique three dimensional shape. 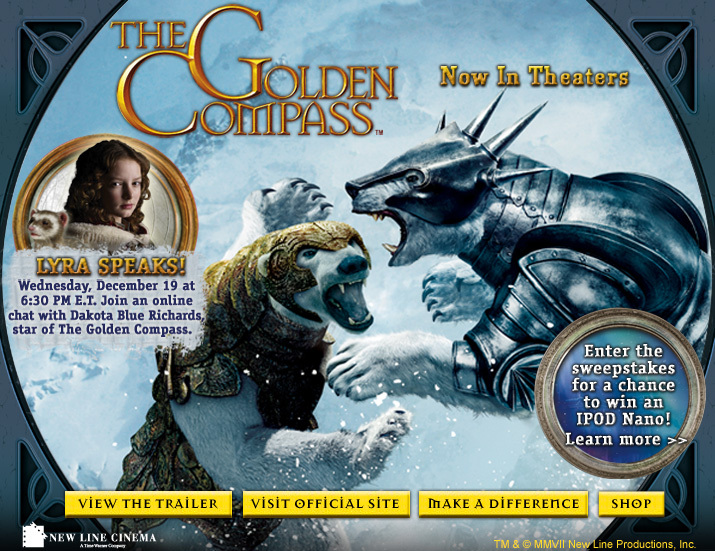 Each form is then three dimensionally printed in the customer’s choices of form and metal. 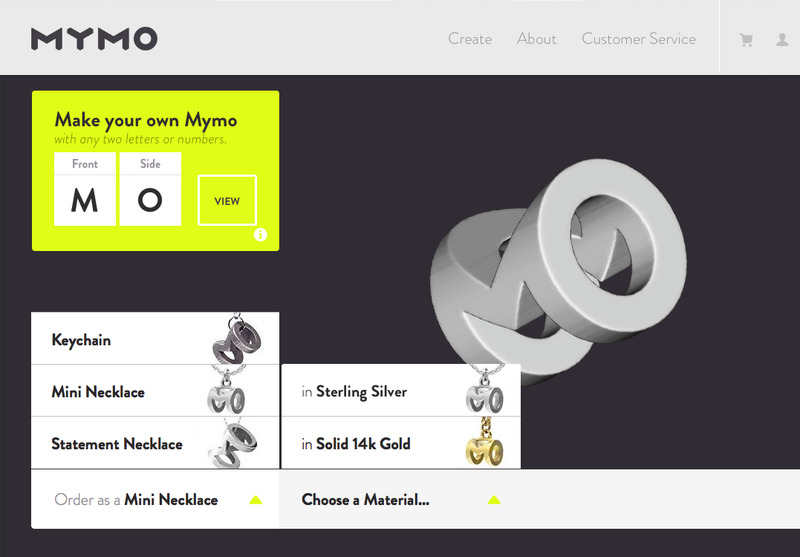 Our role was to build a combination commerce and promotional site from their design, integrate a user updateable 3D view of the monogram, and pass all of their customer’s choice to a customized Shopify shopping cart. 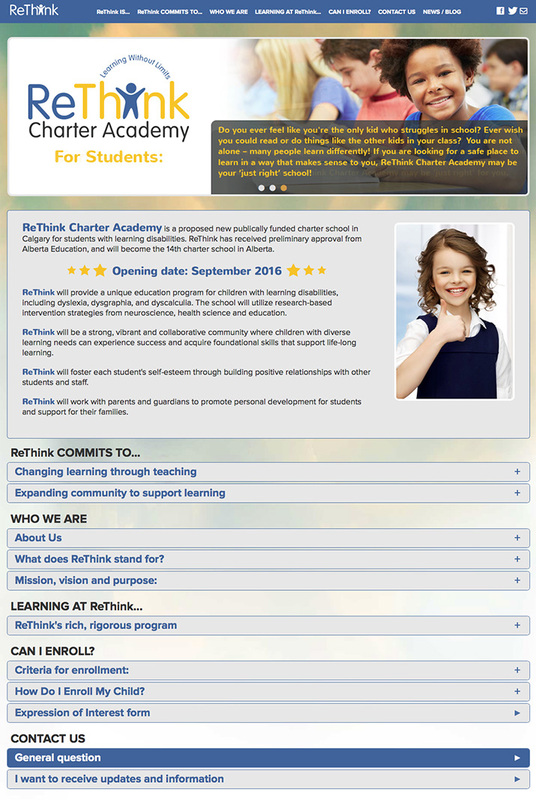 ReThink Charter Academy is a new charter school in Calgary, Alberta, Canada. 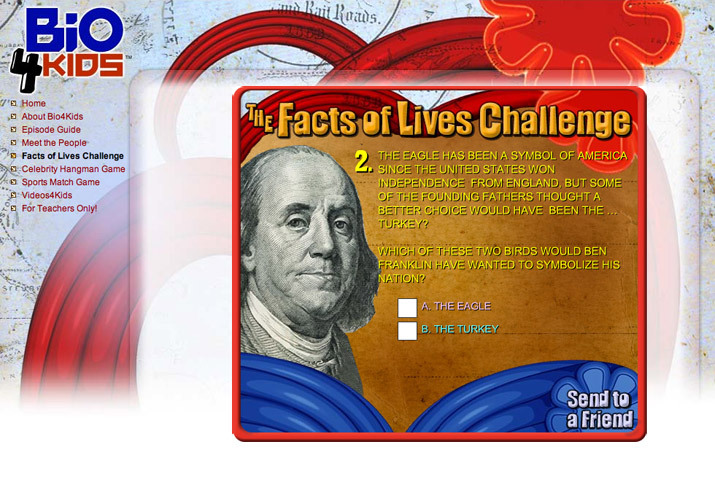 They needed a reponsive site that would present the core mission of the school along with eligibility and enrollment information. 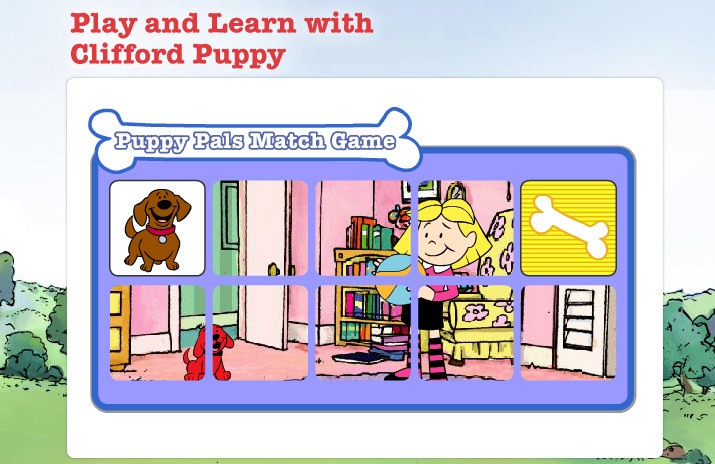 The school’s mission is to provide a unique education to children with learning disabilities. 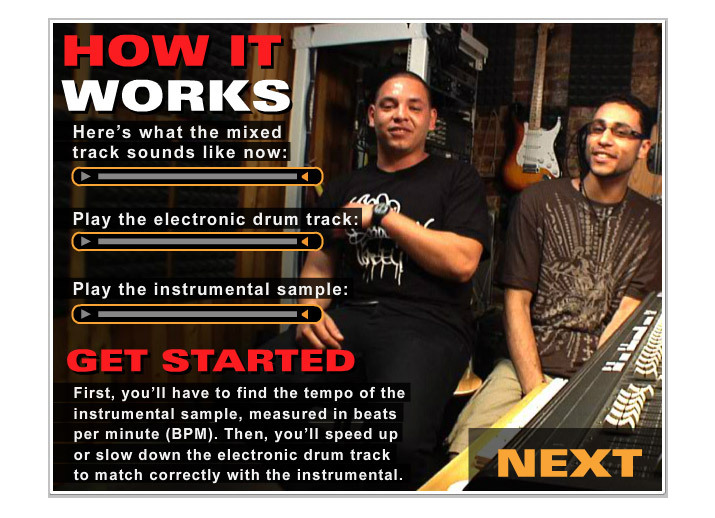 So the site had to be structured that wouldn’t be overwhelming to those potential students and their parents. 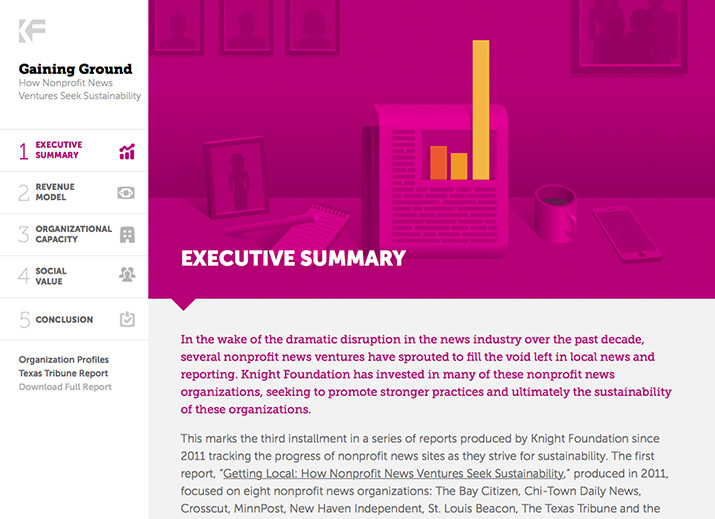 We came up with a design that broke down the key messaging into easily expandable content areas. 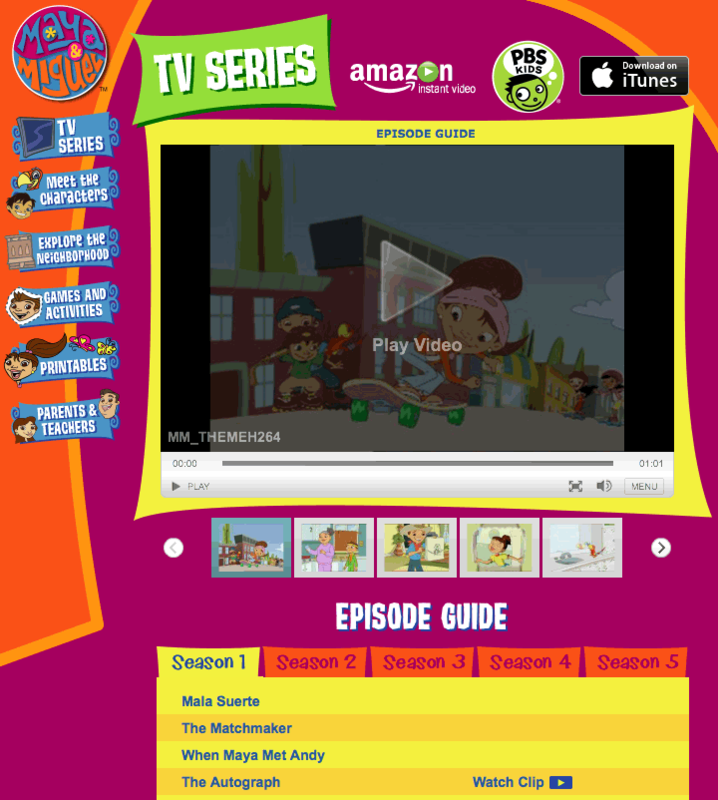 Additionally all of the contents conform to ARIA standards for visitors who might rely on screen readers. 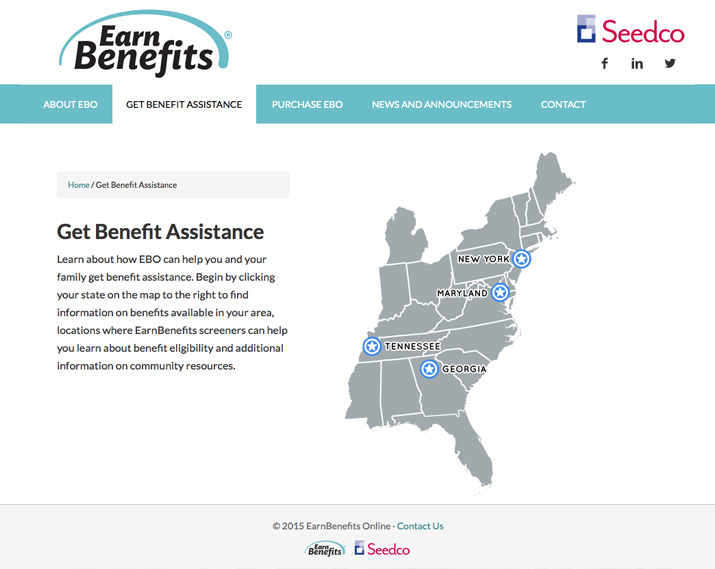 Earn Benefits Online is a web-based software tool used by health and human services providers, affordable housing organizations and others to screen individuals for eligibility in a range of benefit programs. 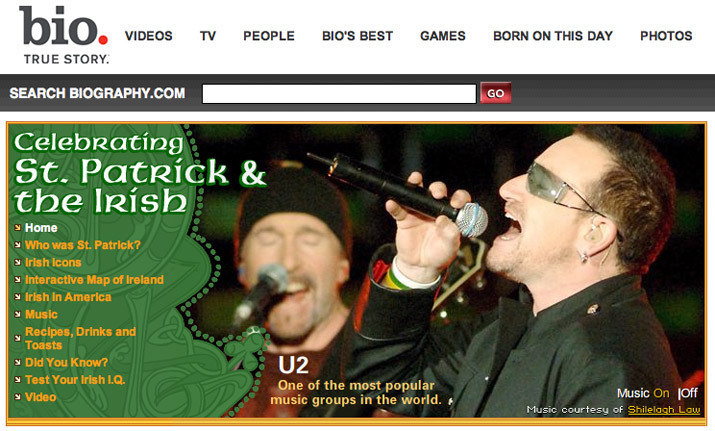 They needed a new, modern, responsive, WordPress site. 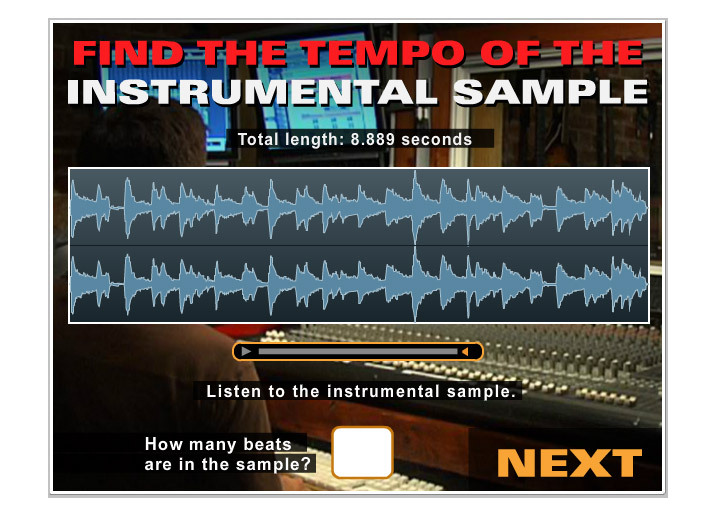 We selected a flexible and extensible theme, customized it with some effective design decisions and added some custom pages and views. 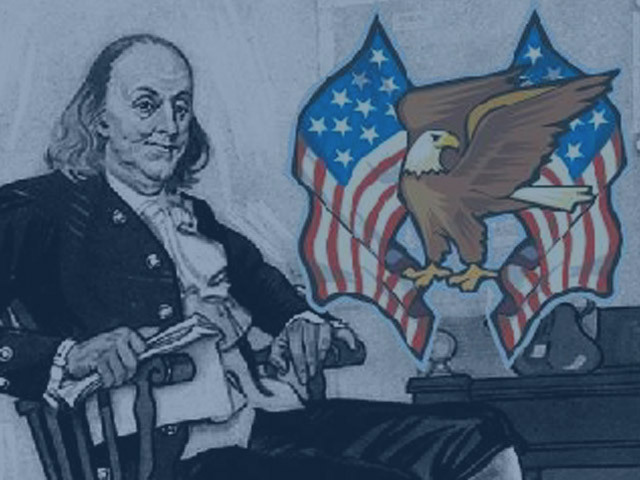 Ultravirgo is a graphic design and branding agency. 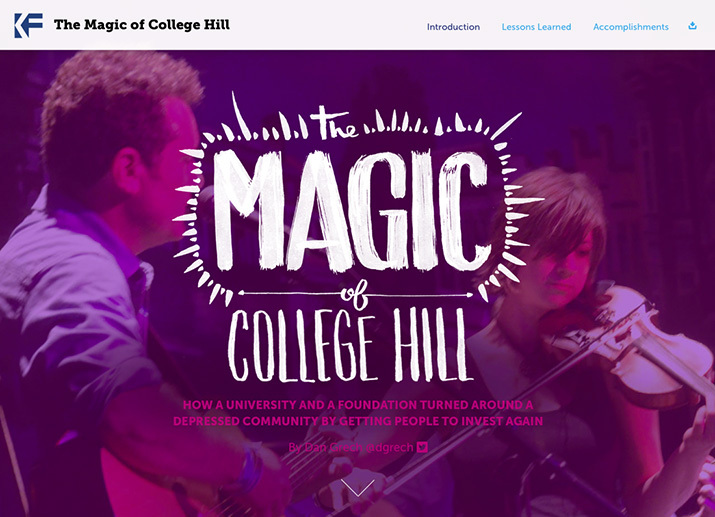 We’ve had the pleasure of building sites from the outstanding designs they created for the Knight Foundation’s special reports, "The Magic of College Hill," and "Gaining Ground." 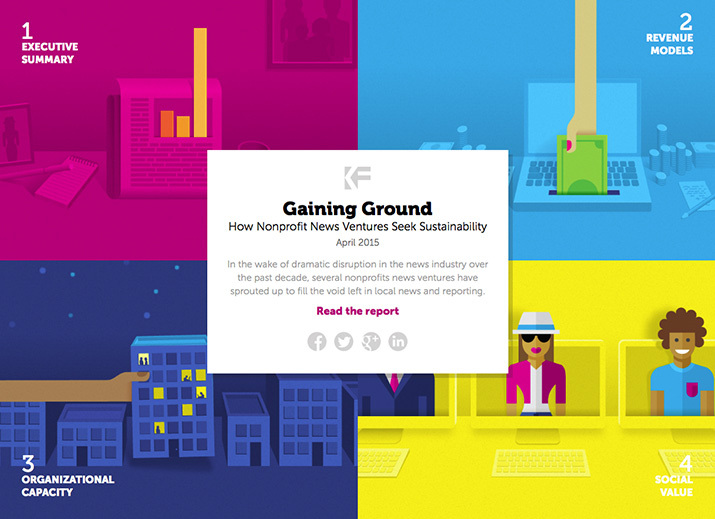 We employed responsive HTML5 and CSS3 transitions to deliver lively and exciting pages that brought the reports to the web and reflected the Knight Foundation’s own excitement about their achievements and initiatives. 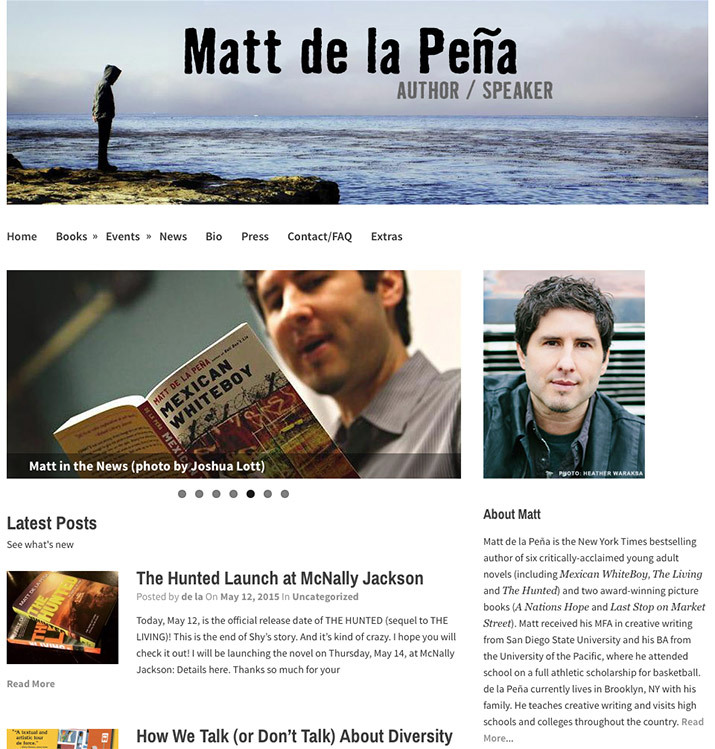 New York Times bestselling author Matt de la Peña needed to upgrade his website. 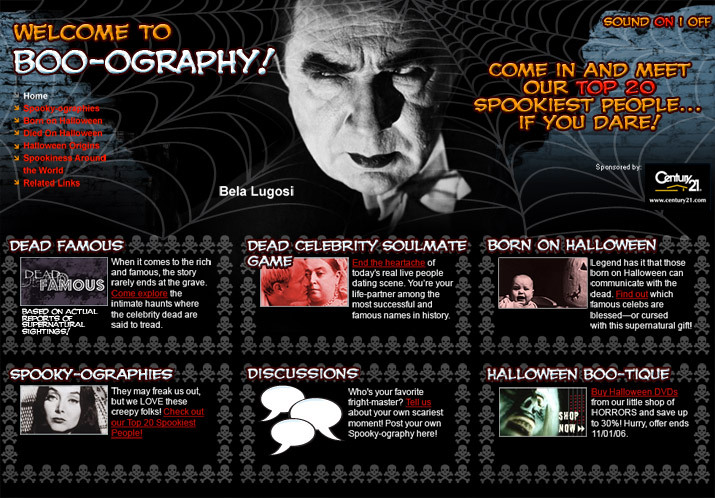 Aside from providing information about him and his work the site also had to allow him to maintain a calendar for his school visits and personal appearances. 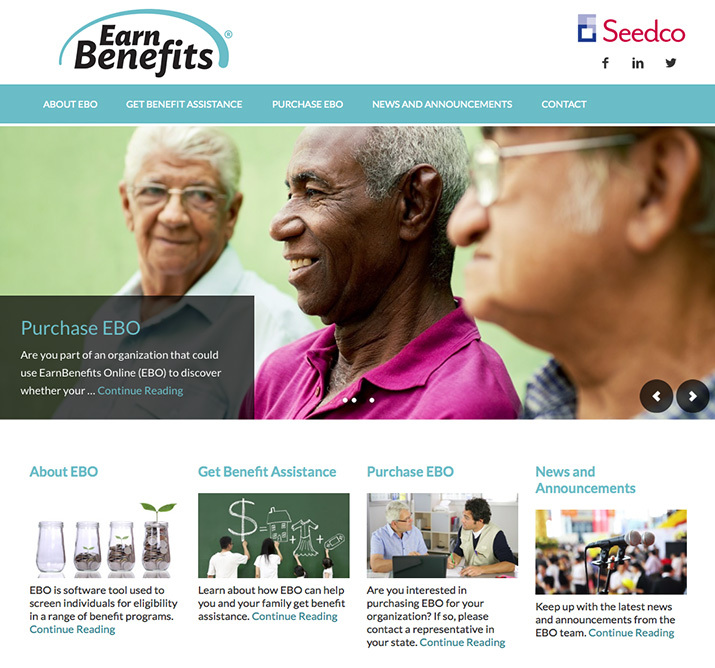 We customized a WordPress theme with a calendar that have been successfully meeting all of those needs since the new site went live. 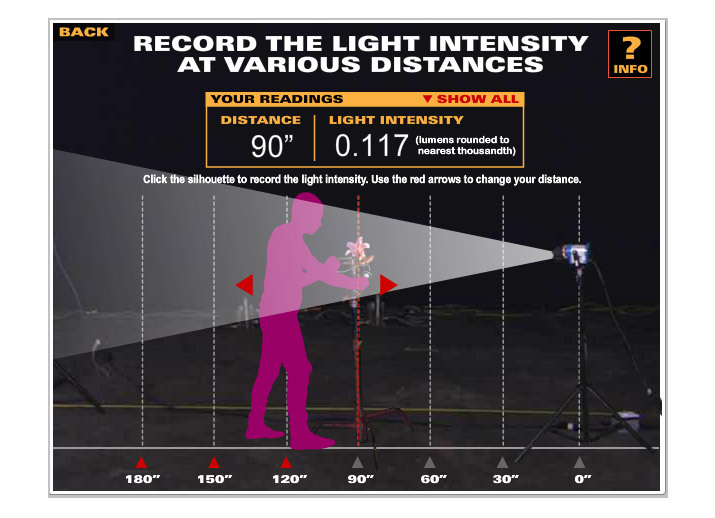 Target Research & Investigation Corporation hired us to create a new website for them. 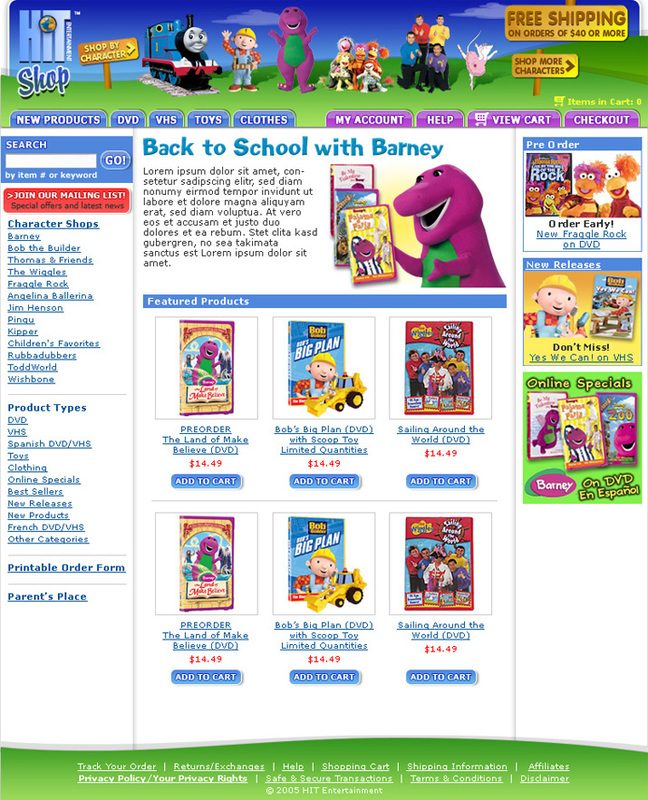 The new site needed to be modern, responsive and distinguish them from their competitors. 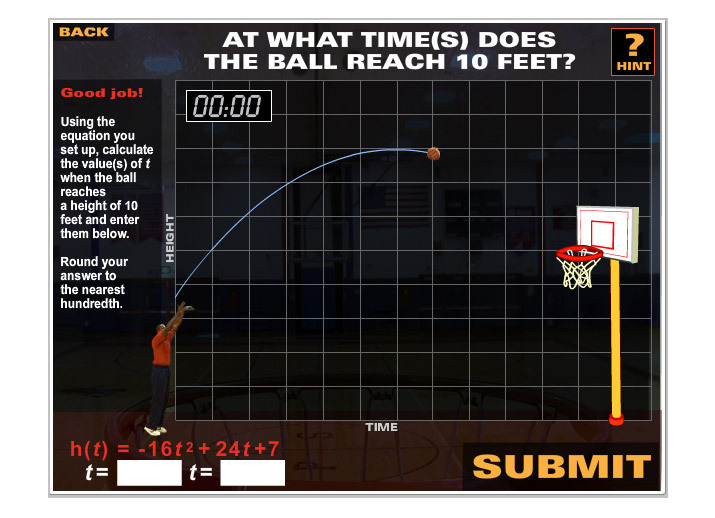 Target Research also needed to be able to input and edit the site content on their own. 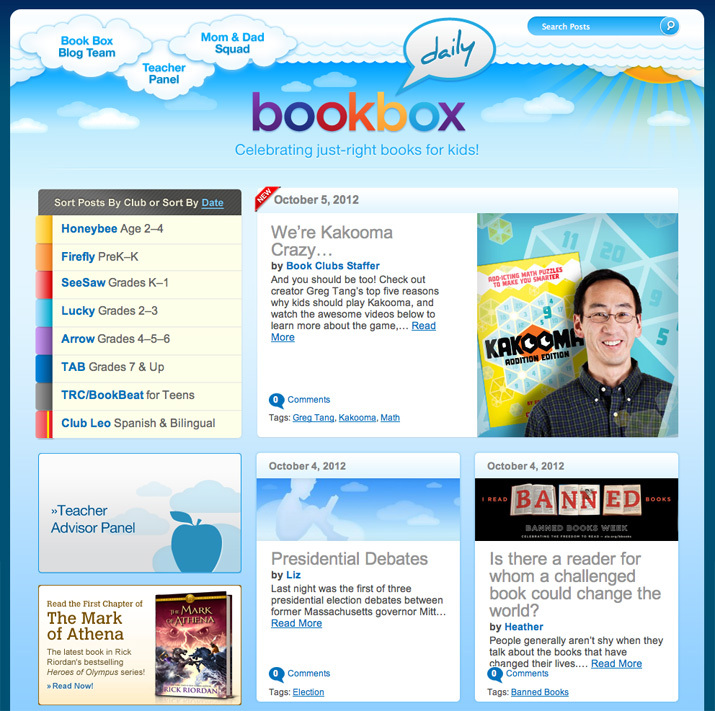 The site also needed to include a blog, an email newsletter sign-up, and a members-only area for exclusive resources and content. 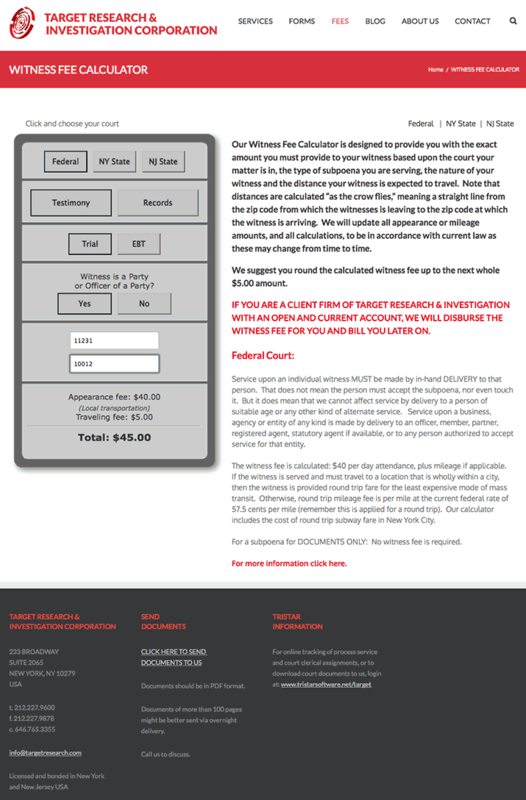 Within the members-only area they wanted a witness fee calculator which would calculate appearance fees for witnesses in Federal, New York and New Jersey courts. 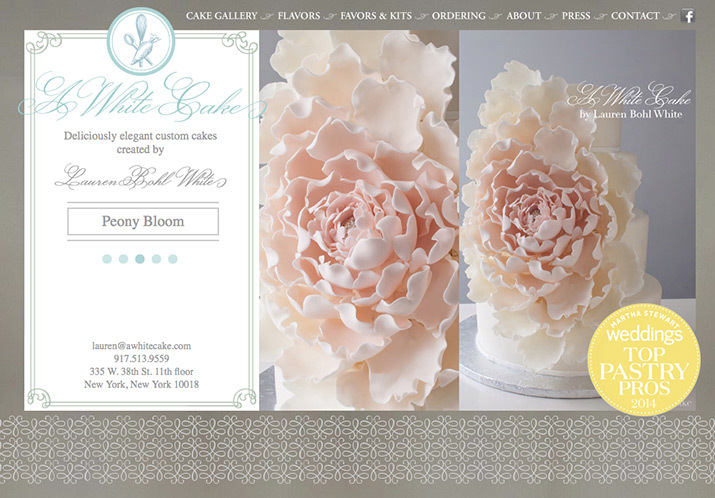 A White Cake features the singular and elegant wedding cakes of Lauren Bohl White. 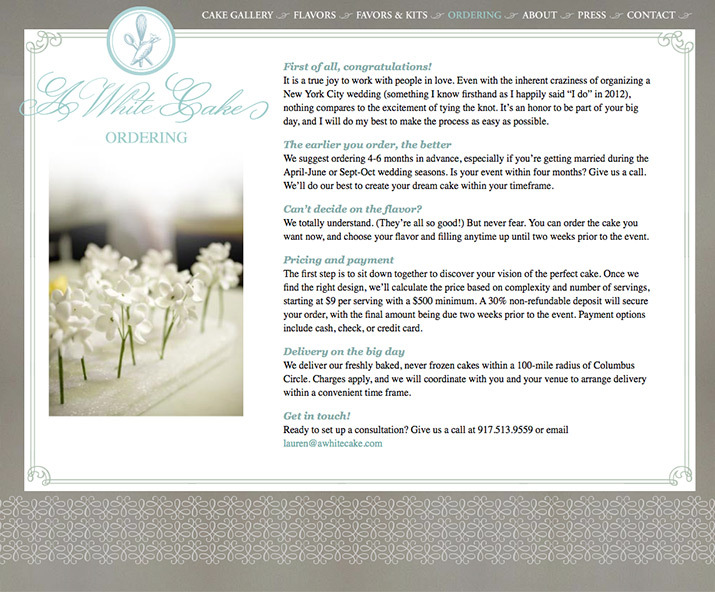 We worked with her to create a logo, business cards and a website which would showcase her latest work, provide ordering and contact information, and highlight her online and offline press clippings. 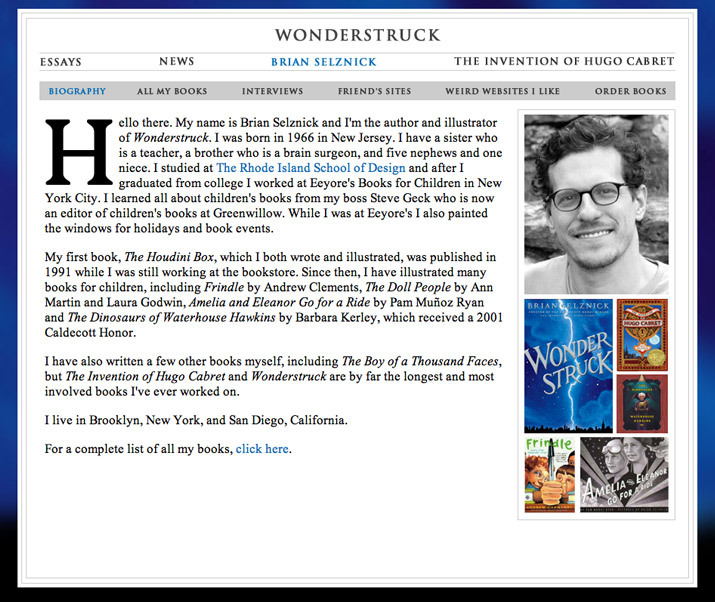 We designed and built the site for Caldecott award-winning author/illustrator Brian Selznick’s latest book, Wonderstruck. 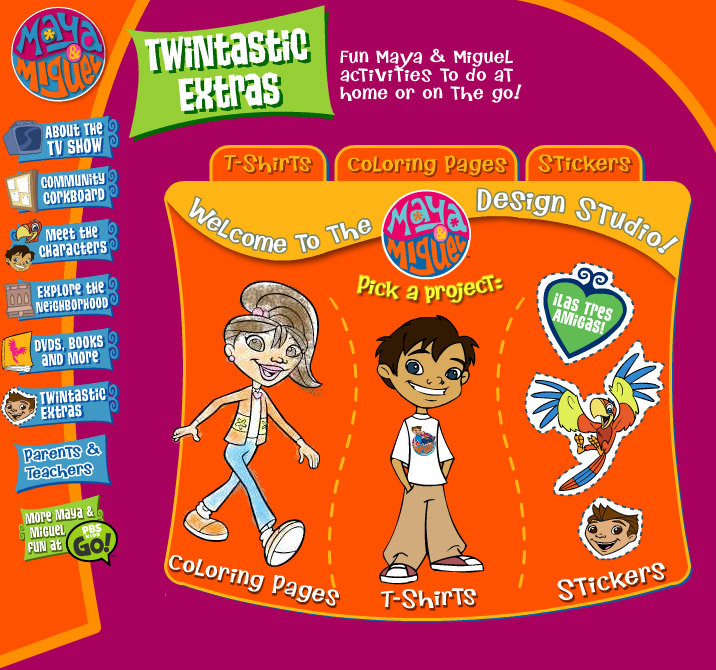 The project proceeded in two phases. 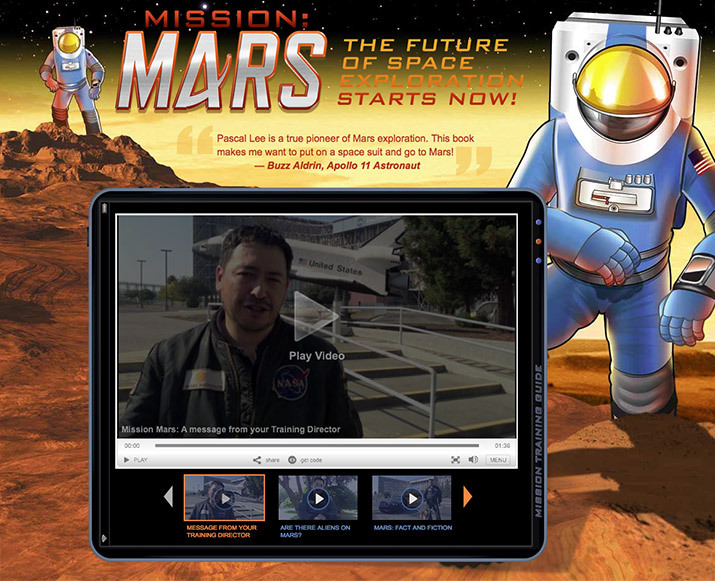 Phase 1 featured preview images and other teaser content, as well as purchase information and a book tour itinerary leading up to the release day. 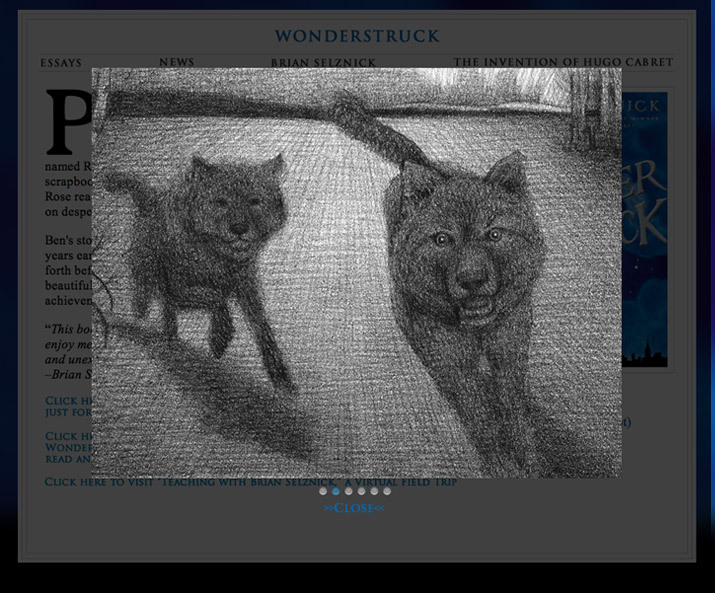 In phase 2 we expanded on the structure of the preview site to create a destination that would continue to attract new readers and appeal to fans of the book who would want to continue to the explore the world of Wonderstruck. 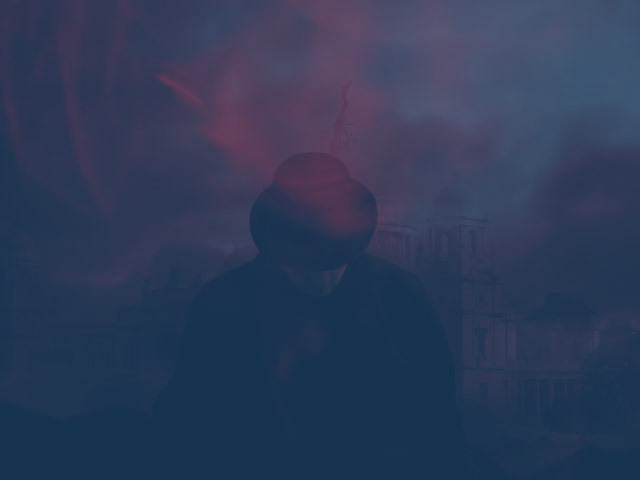 We created a moody and menacing trailer to promote the novel Midnight Palace by Carlos Ruiz Zafón. 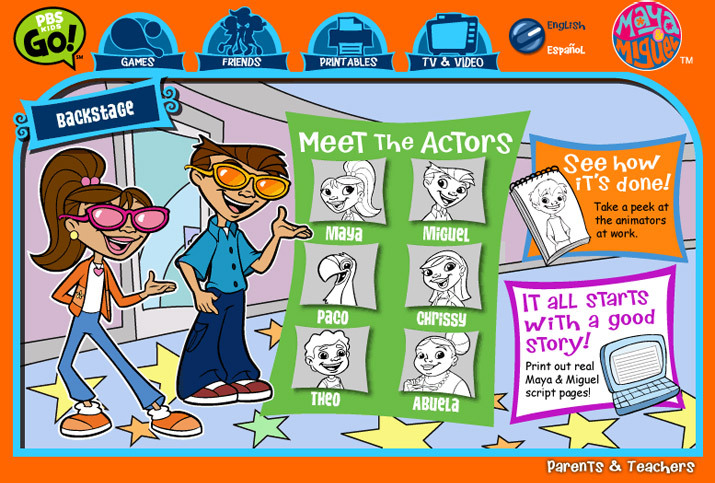 The trailer was used on the Little Brown Books for Young Readers’ site, the Little Brown Books for Young Readers’ YouTube channel, and accompanied the book’s listing on bn.com. 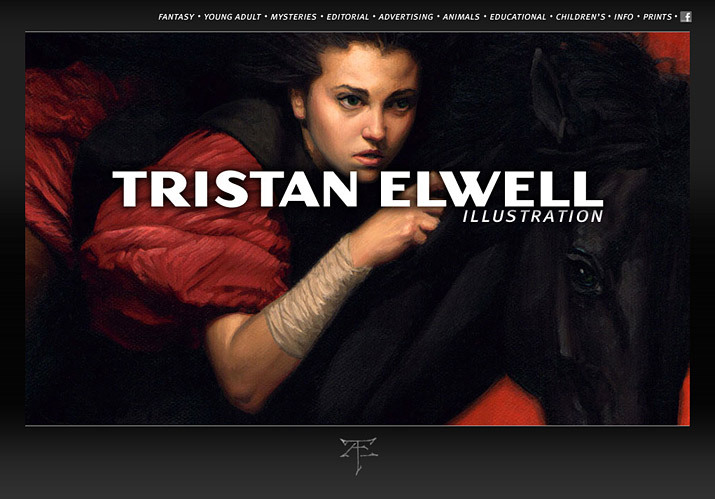 We designed this showcase site for award-winning illustrator Tristan Elwell. 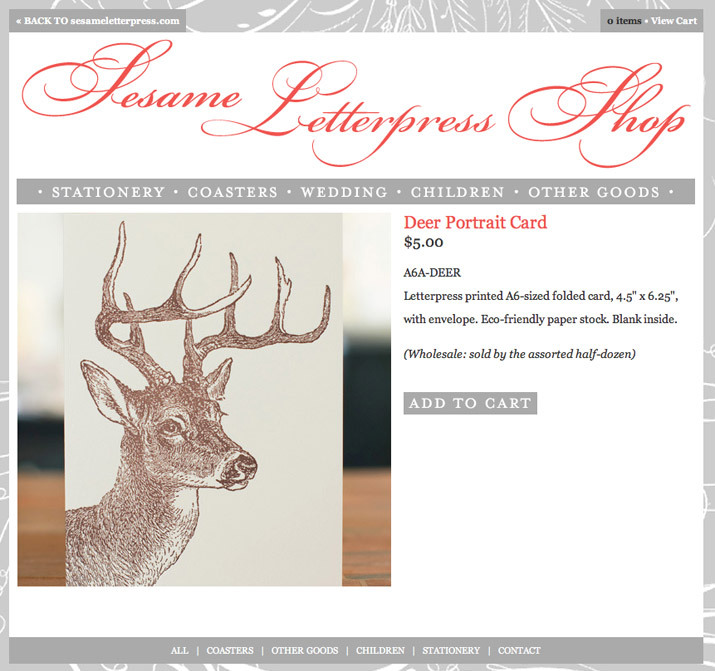 Store design and template customization. 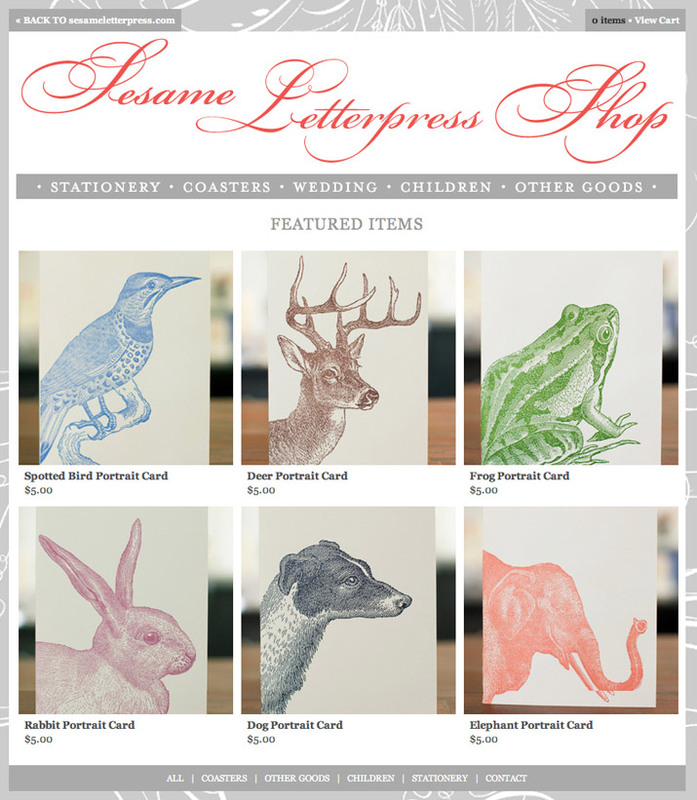 Sesame Letterpress, a Brooklyn letterpress studio, needed to revamp their Big Cartel store to better represent their aesthetic and their brand. 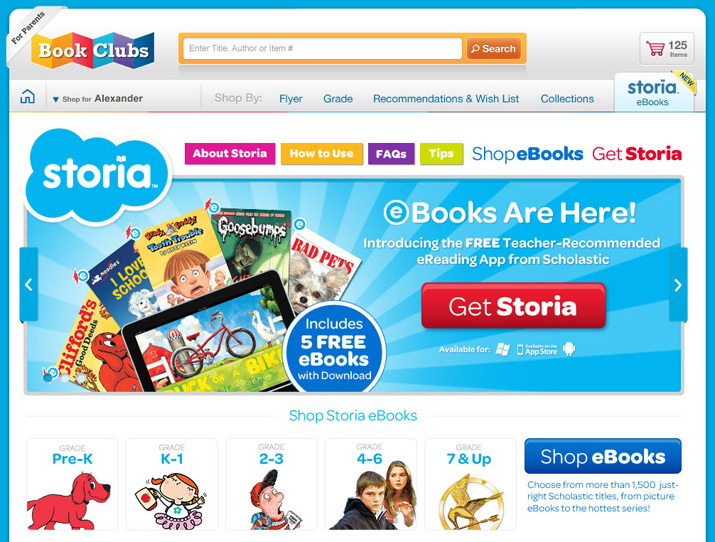 We created and implemented the new store design. 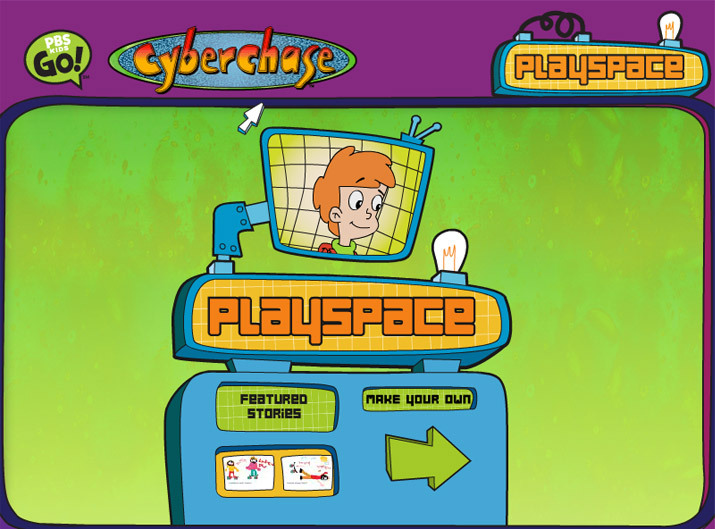 A “build your own story” activity based on the PBS television series Cyberchase. 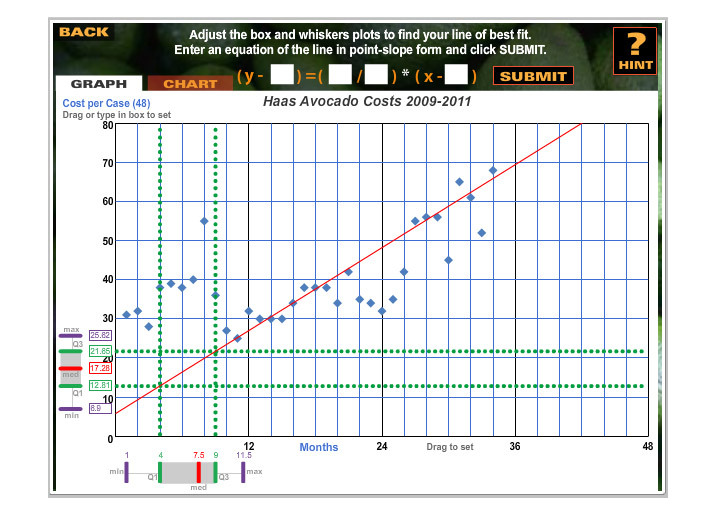 Version 1.0 was functional but needed polishing and additional functionality. 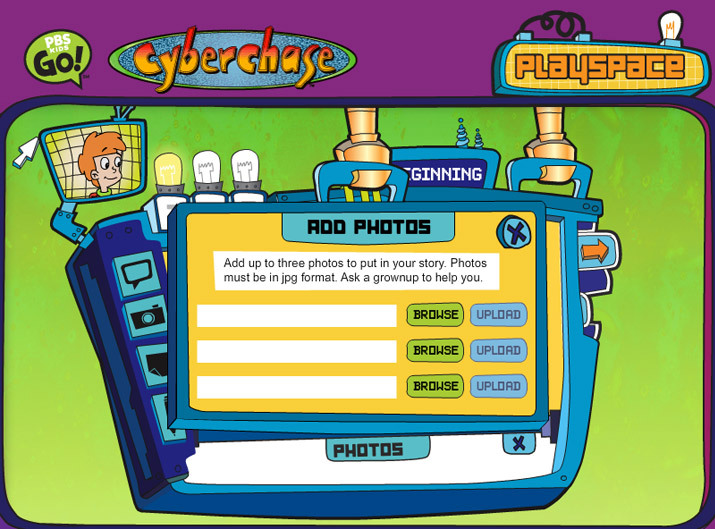 Two significant additions were photo upload capability and tools to allow teachers to create a customized version of the activity for their classes. 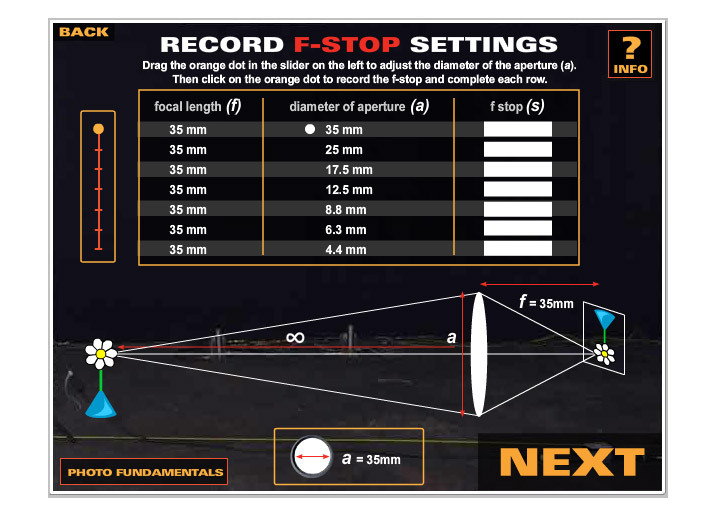 Activity specification, design and programming. 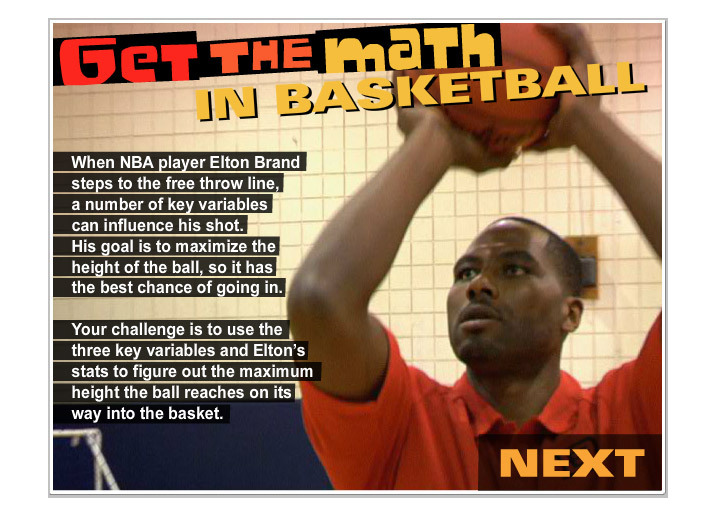 Six, two-part activities we designed and coded based on topics featured in episodes of the public televisions series, Get the Math. 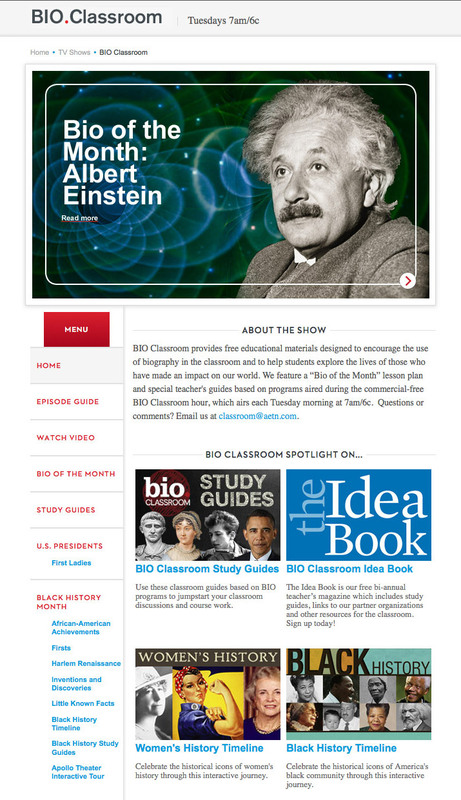 The site was a 2012 Webby Honoree in Education. 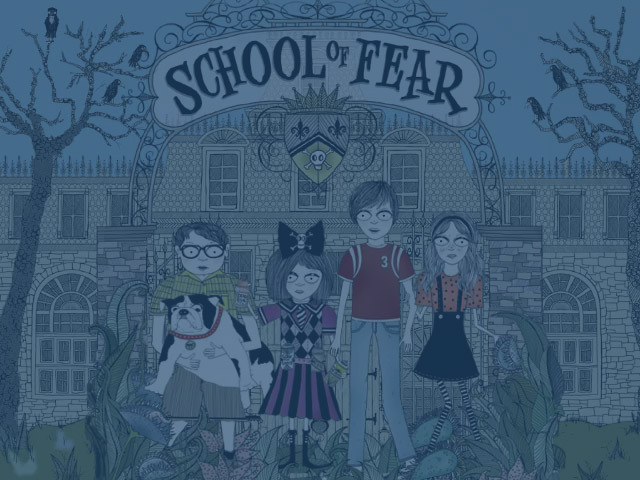 We created a quirky and creepy trailer to promote the latest novel in the School of Fear series by Gitty Daneshvari. 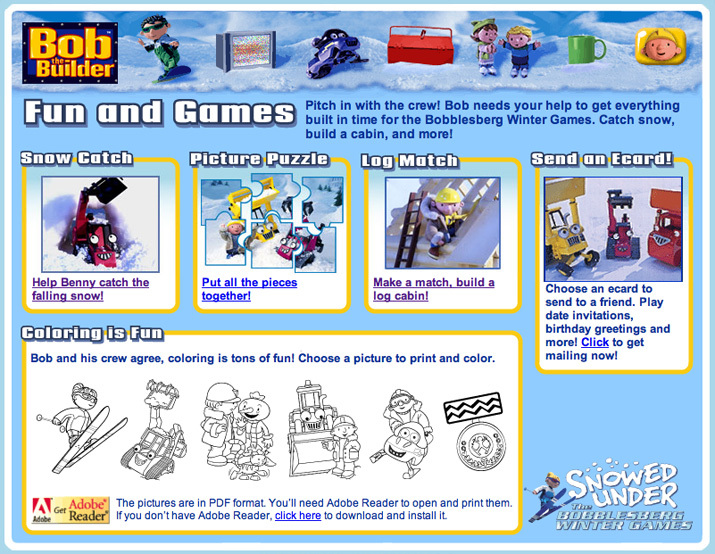 The trailer was used on the Little Brown Books for Young Readers’ site, the Little Brown Books for Young Readers’ YouTube channel, and accompanied the book’s listing on bn.com. 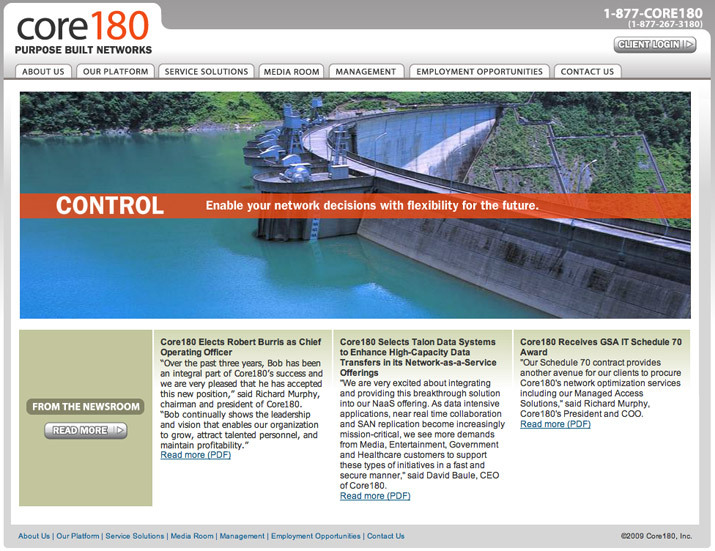 Core 180 needed a site that would convey their specific business model as a network integrator which serves the government, large enterprises and carriers. 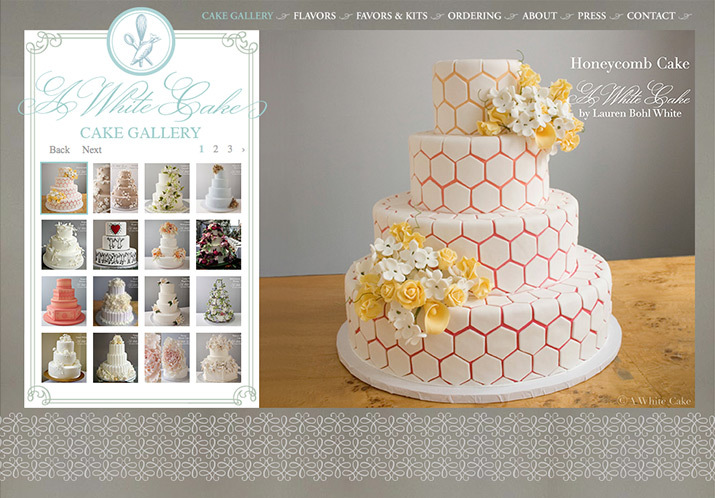 We provided a clean, effective site which harmonized with their brand and was able to grow along with their business. 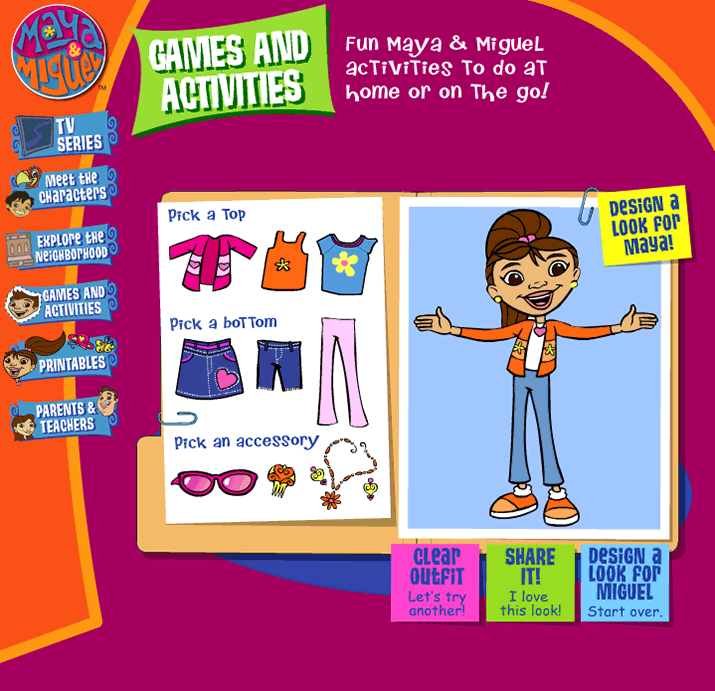 Site design, production, activity design and programming. 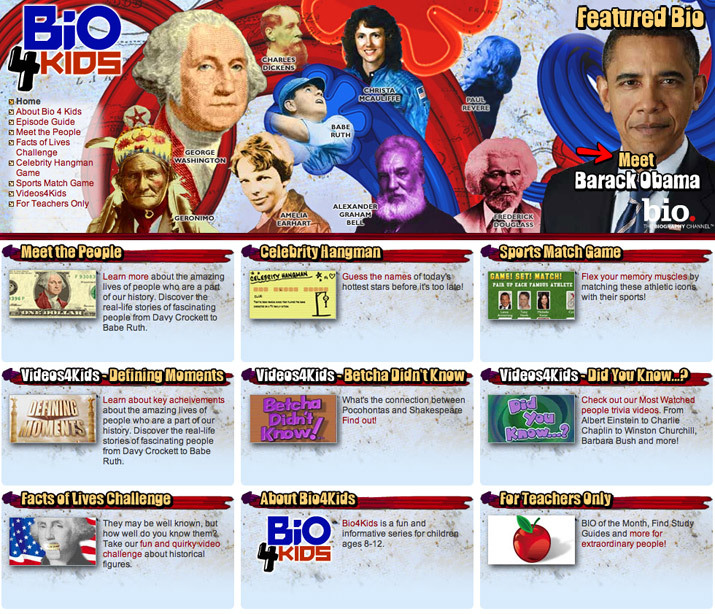 We were asked to create the Bio4Kids website as an extension of the Biography Channel television series of the same name. 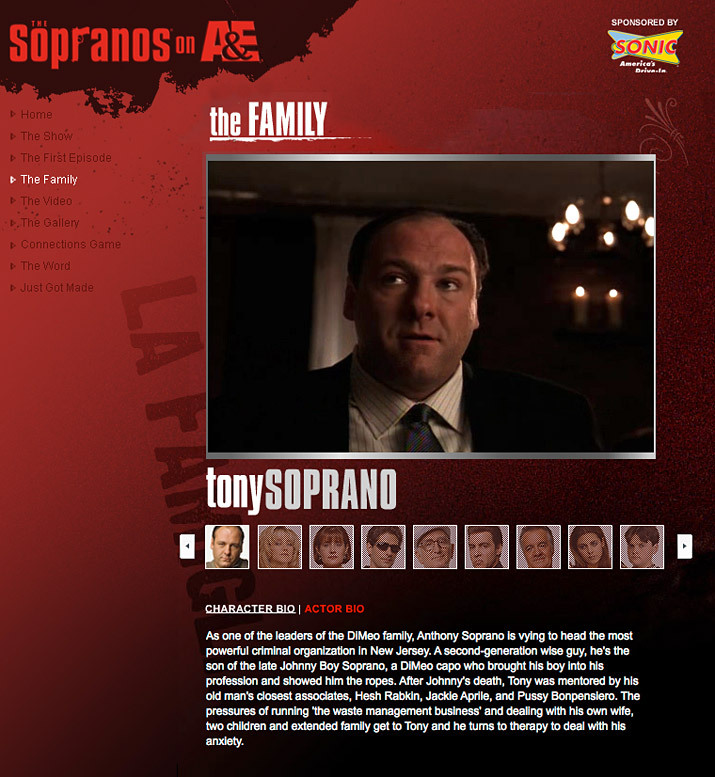 The site outlived the series and was one of the most highly trafficked areas of biography.com from 2006-2011. 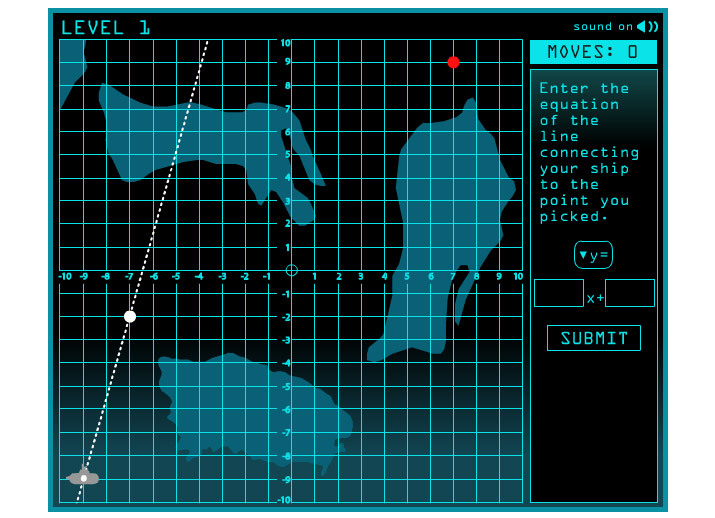 It also won the Interactive Media Council 2007 Outstanding Achievement award in the categories of Education and Kids. 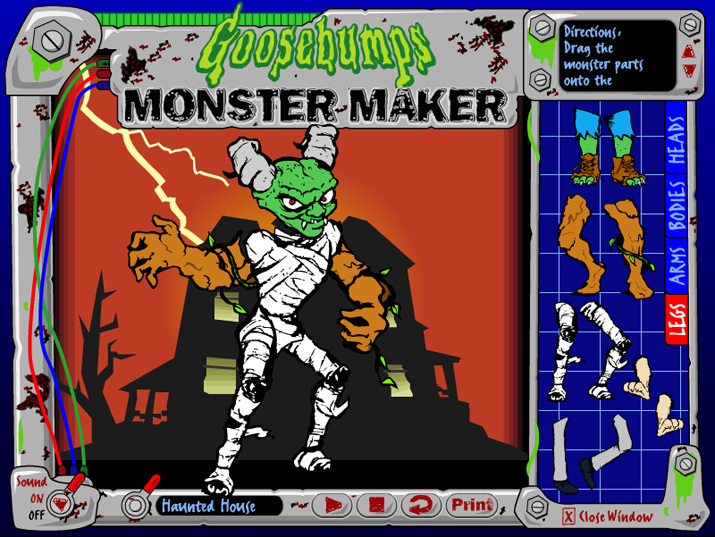 Design, production, activity design & programming. 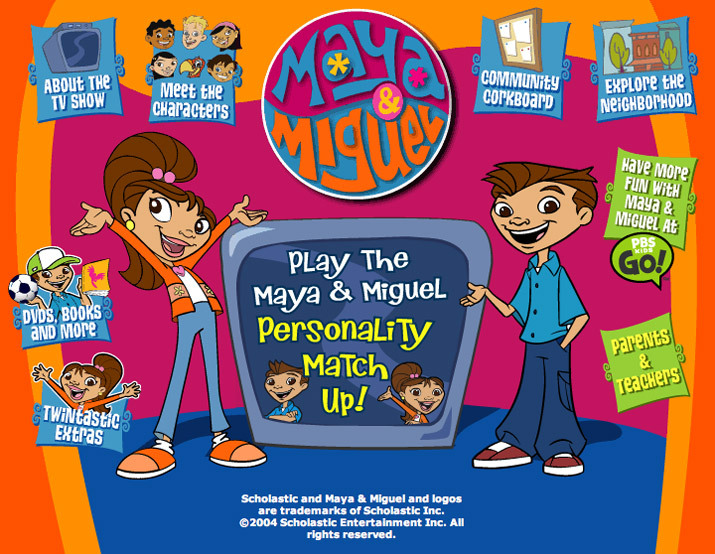 Maya & Miguel was an animated series for children from ages 6-12 which appeared on the PBS Kids GO! 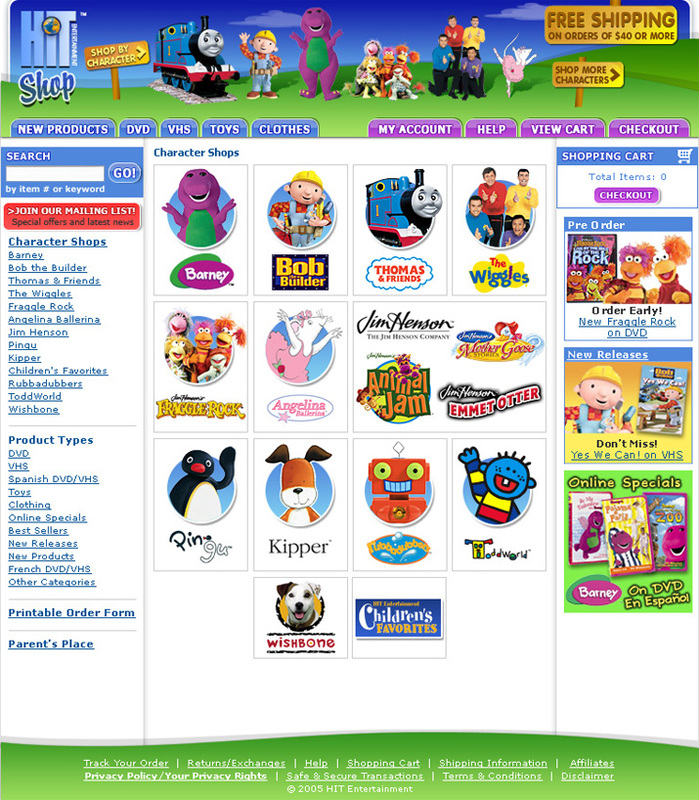 line up from 2004 to 2007. 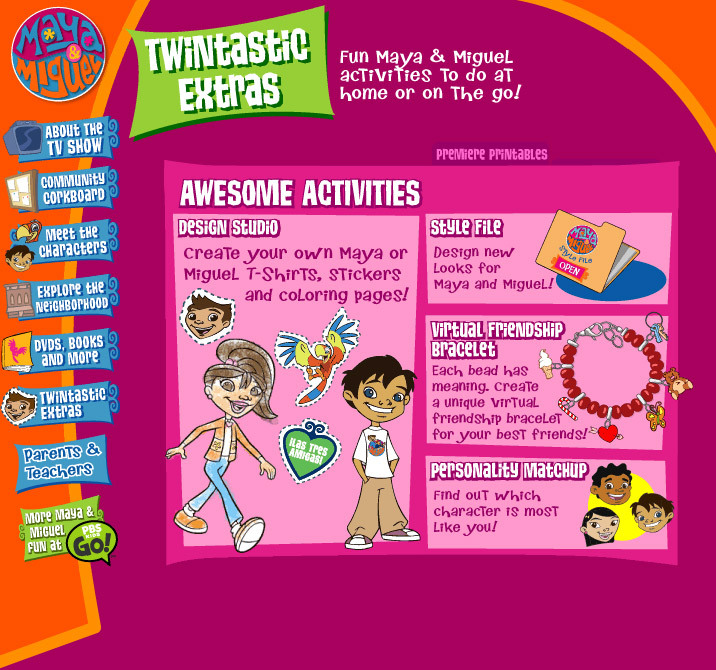 The series was promoted on both scholastic.com and pbskidsgo.org. 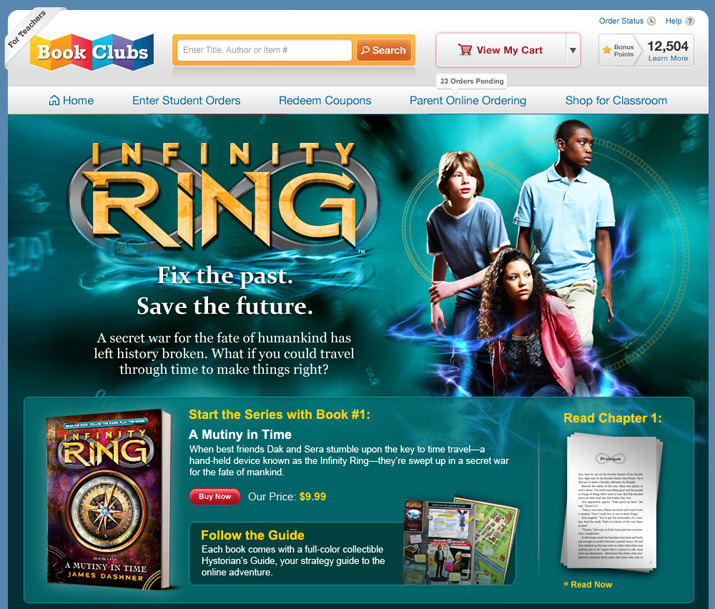 We created the Scholastic site and maintained it for some time after the series’ run. 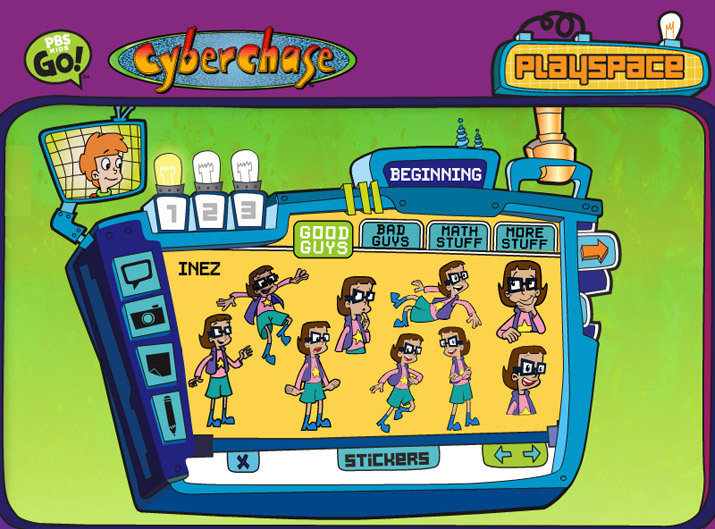 We also provided coding for the production of the PBS site and created some activities for it as well. 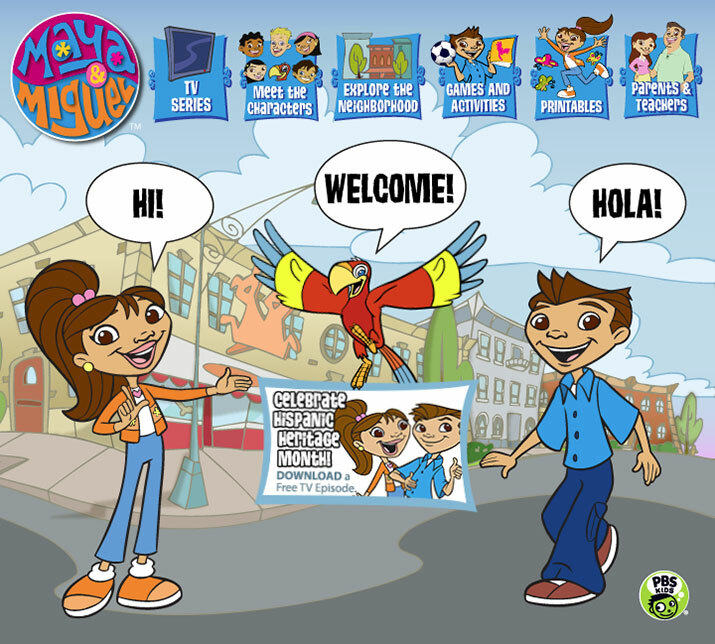 We set up all of the PBS content so it could toggle between English and Spanish. 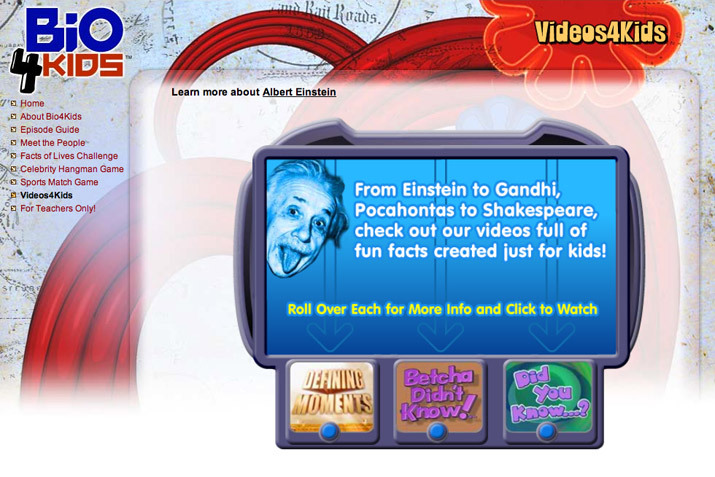 The PBS site was a 2006 Webby Honoree in Education. 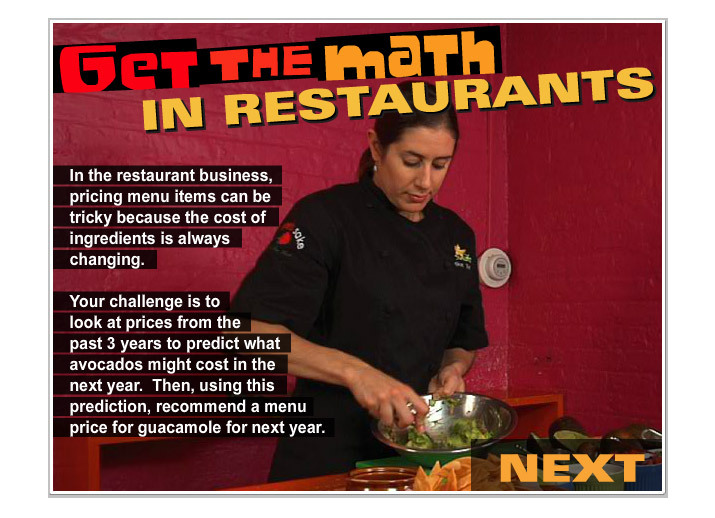 FirstSource Staffing is a Brooklyn staffing company. 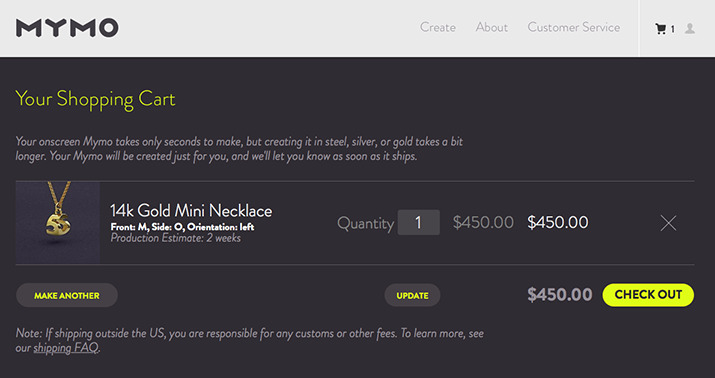 In addition to designing and building the site we also created custom job listing and time sheet tools. 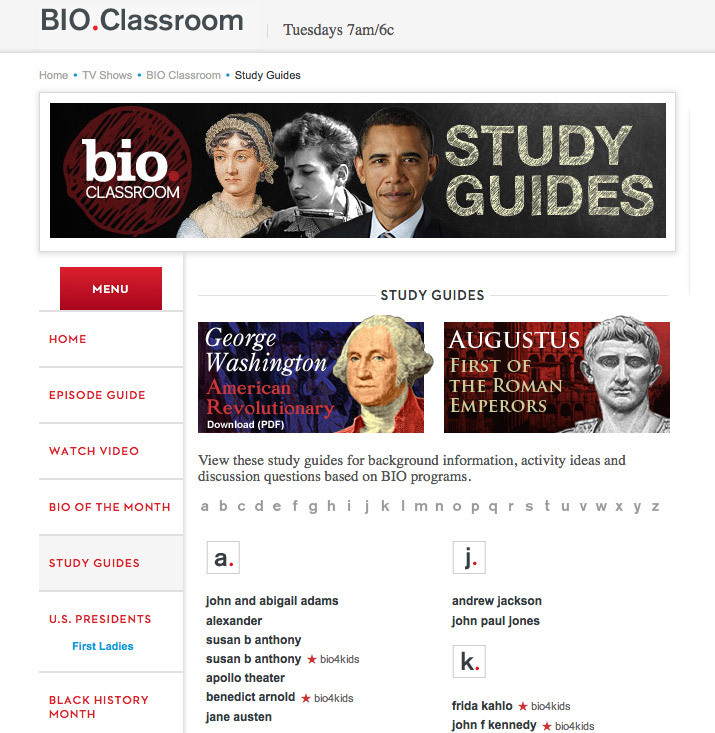 We’ve created and coded many micro-sites for The Biography Channel at bio.com, promoting televised series, special events and seasonal content. 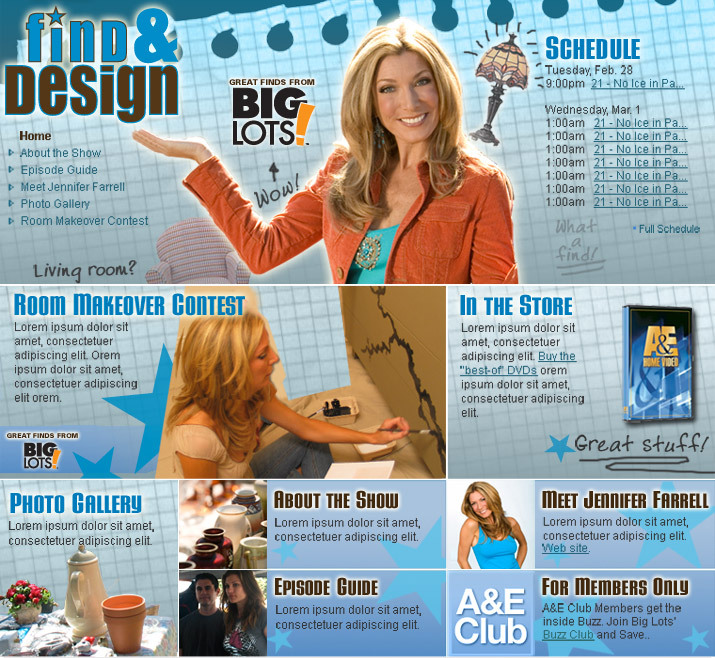 Site design and production, CMS integration. 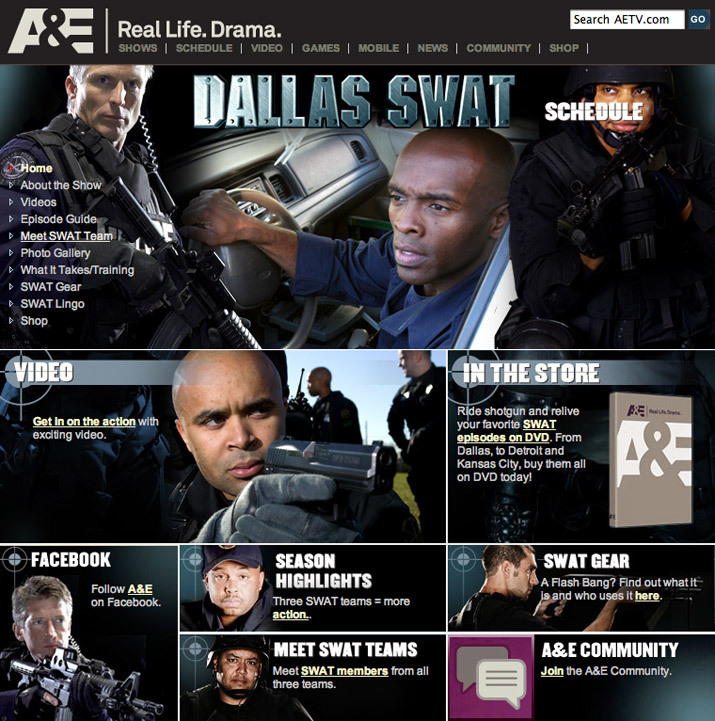 We designed micro-sites and special features for A&E TV at aetv.com, promoting their shows. 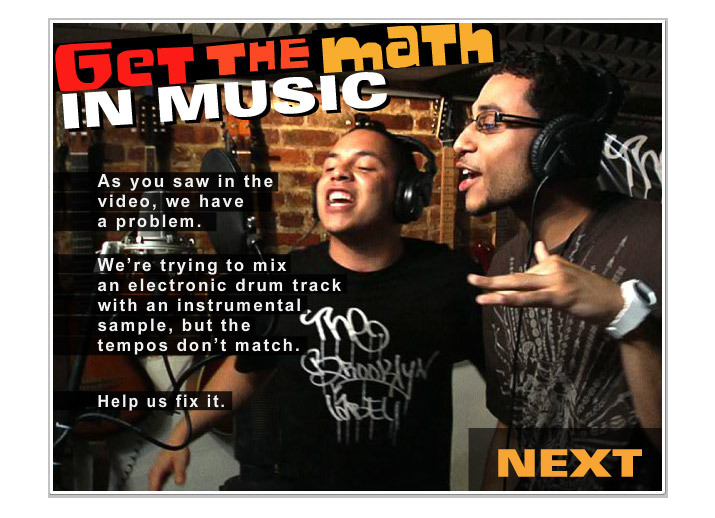 HIT Entertainment is one of the world’s leading children entertainment producers. 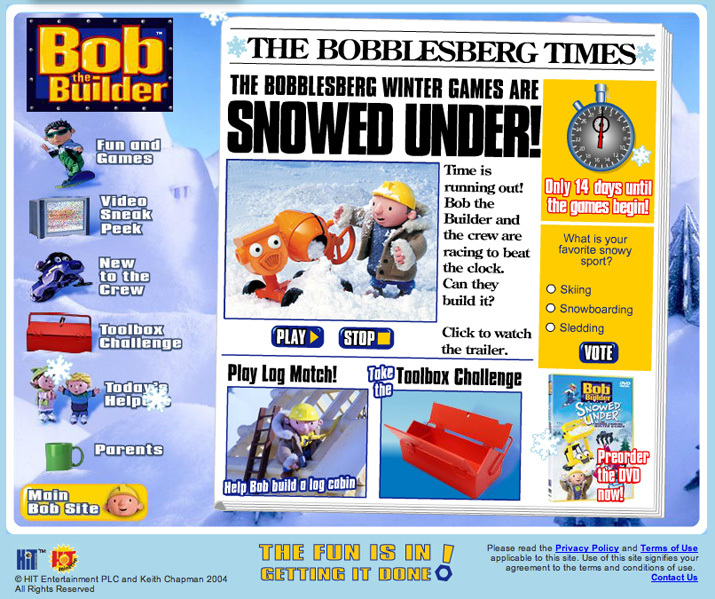 For their entertainment side we designed and produced sites for Angelina Ballerina and Bob The Builder: Snowed Under. 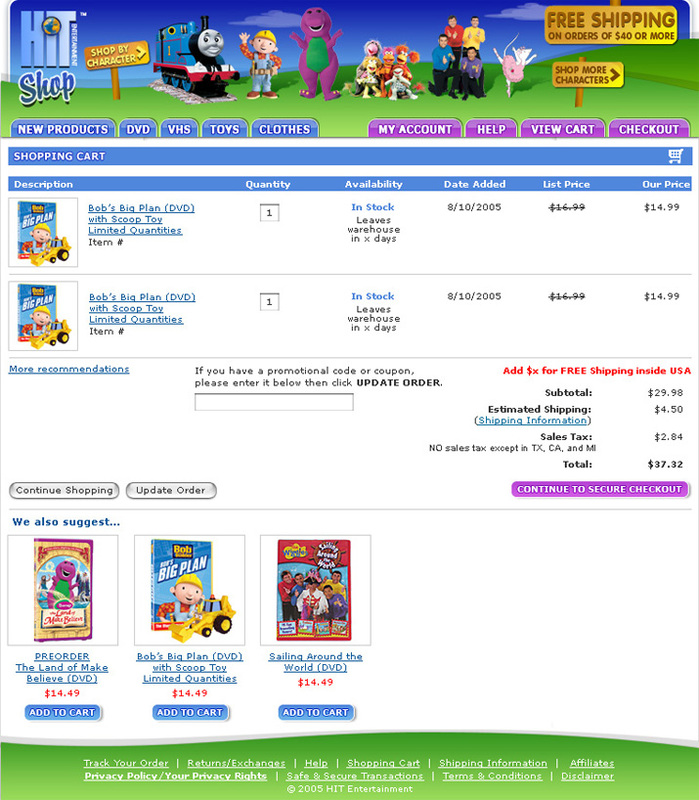 On the commerce side we worked on both the design and the user experience of HIT Shop, their 2005 store redesign. 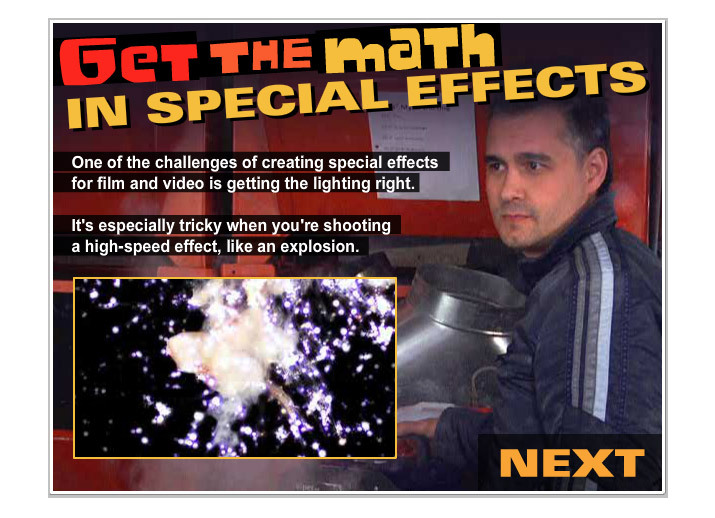 By popular demand, the intro movie from the 2002 version of our site.